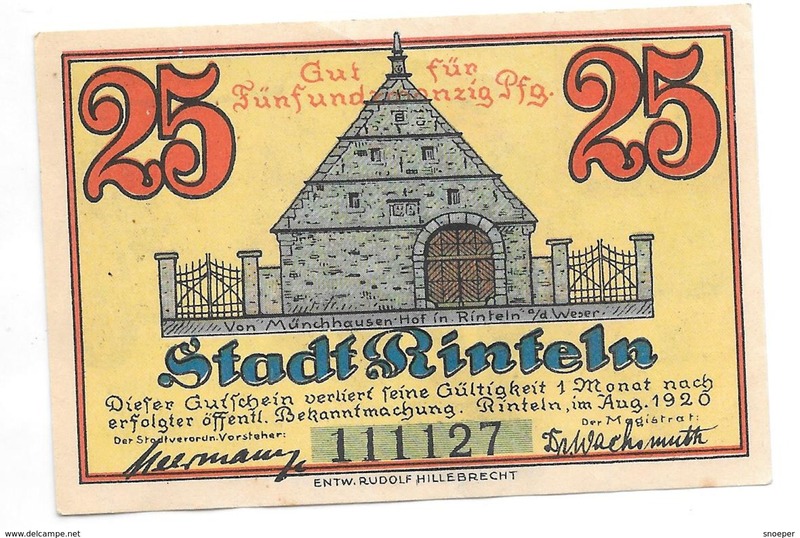 GUTSCHEIN der STADT - SPREE - 50 Pfennige NOTGELD - 1921 - 14983 ( details zie foto ) ! 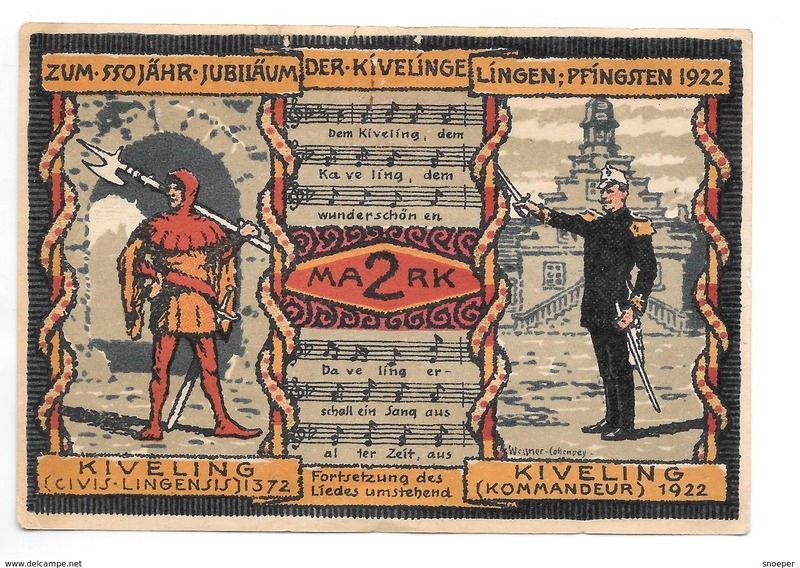 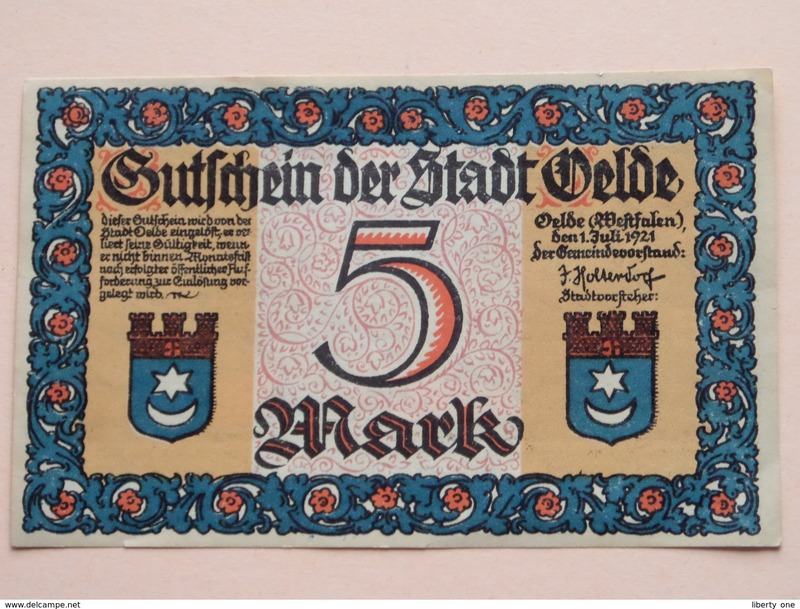 GUTSCHEIN der STADT VELDE - 5 MARK NOTGELD - 1921 ( details zie foto ) ! 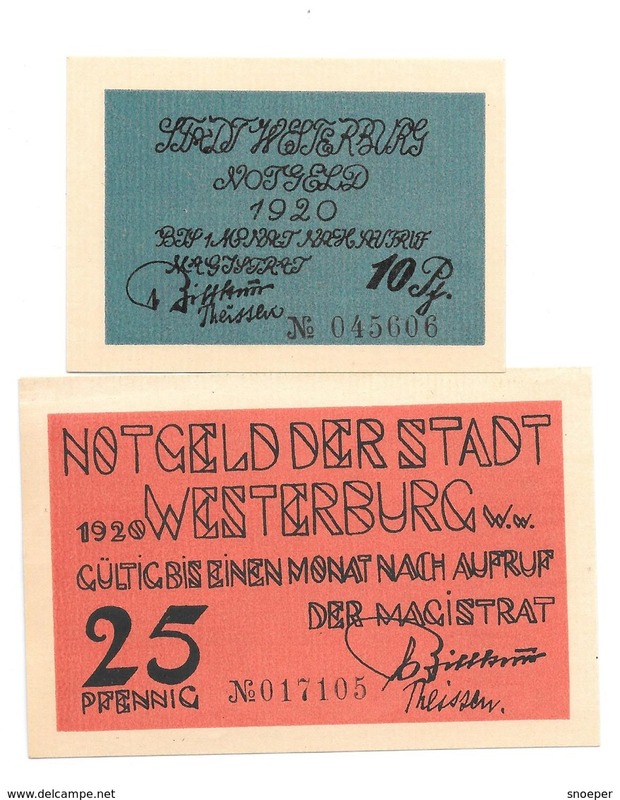 GUTSCHEIN der STADT - SPREE - 50 Pfennige NOTGELD - 1921 - 112994 ( details zie foto ) ! 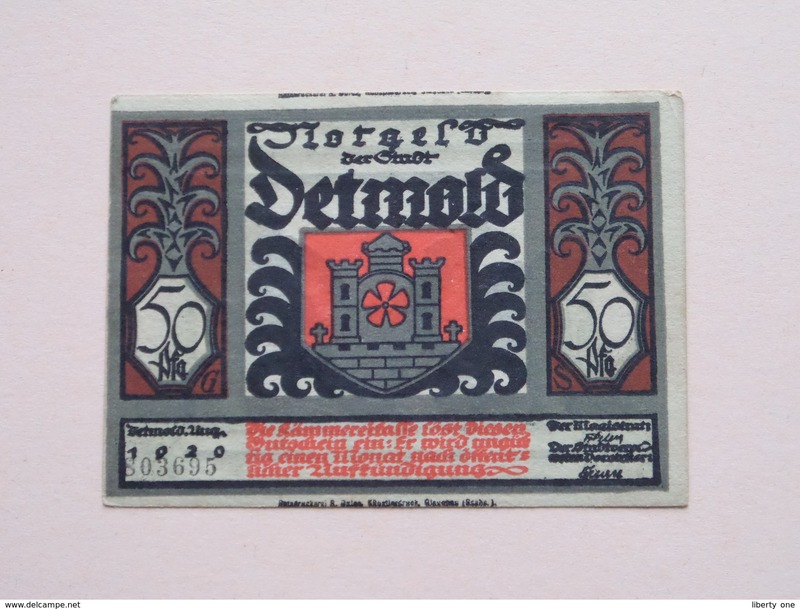 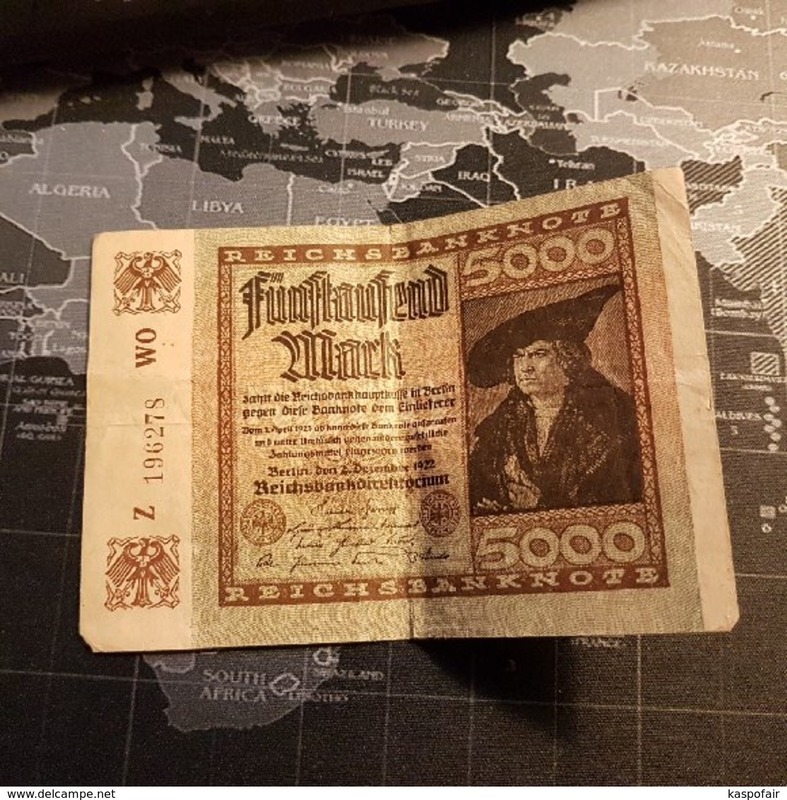 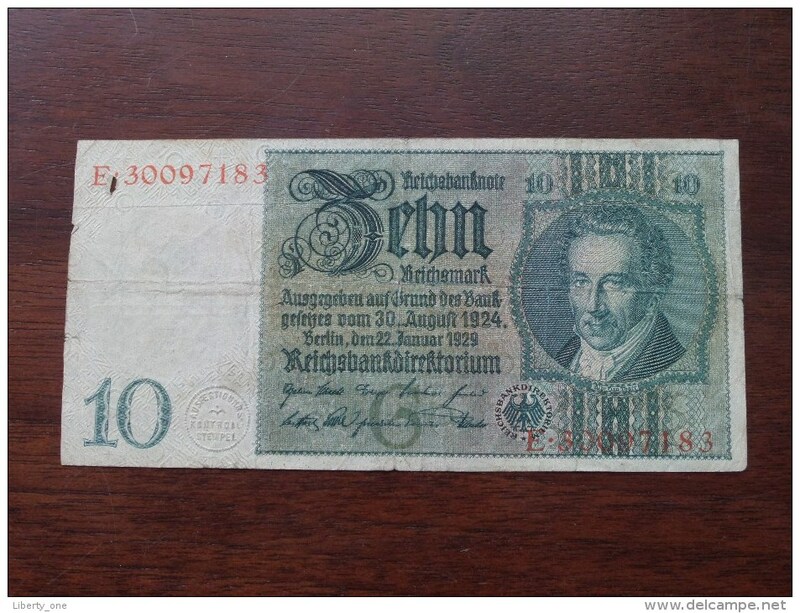 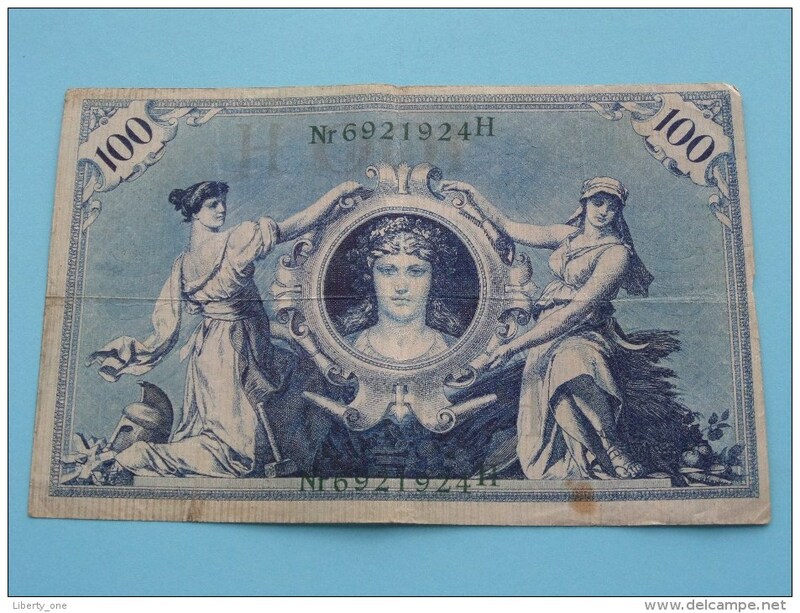 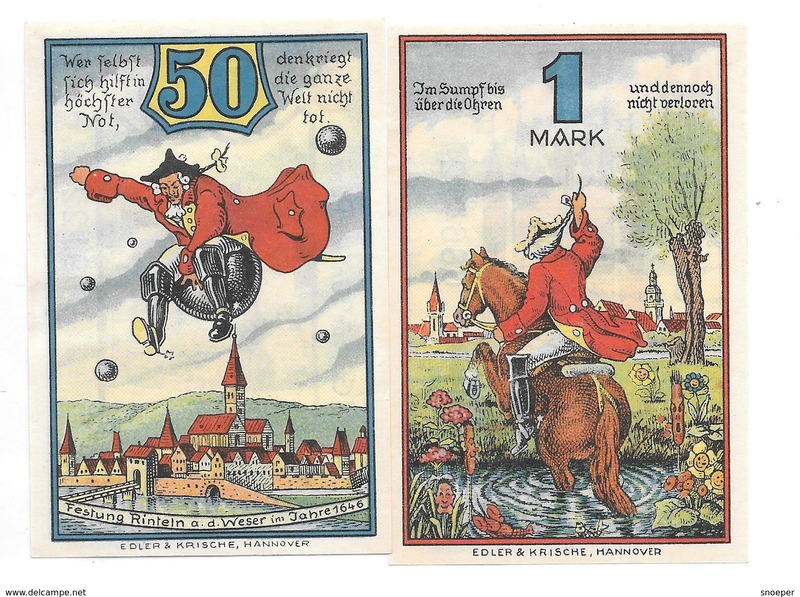 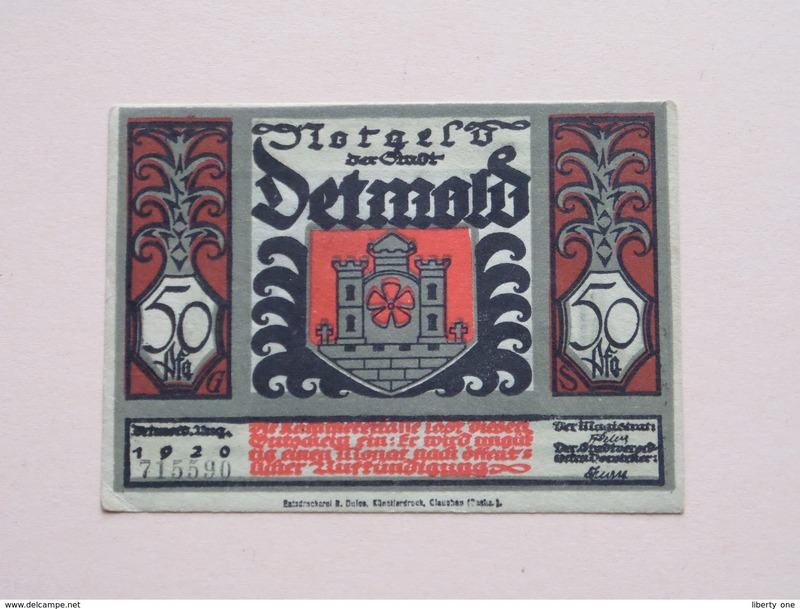 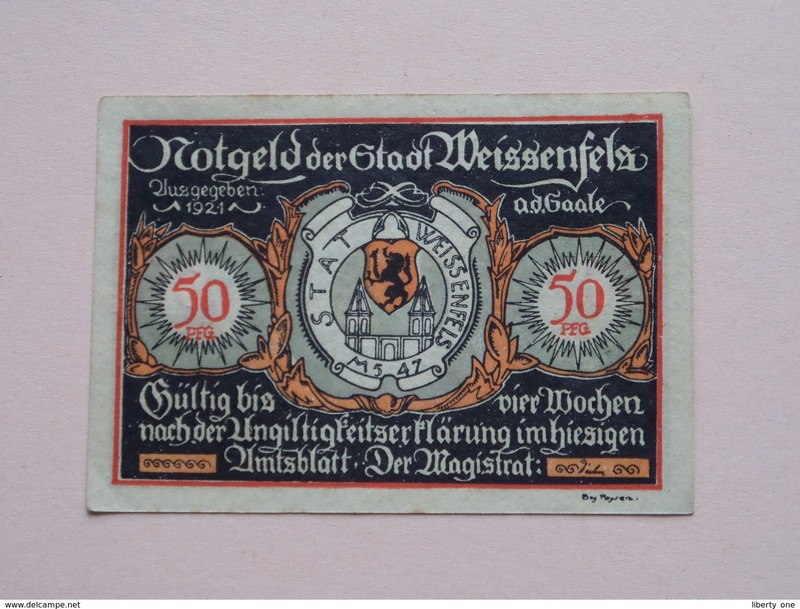 DETMOLD - 50 Pfennige NOTGELD - 1920 - 803695 ( details zie foto ) ! 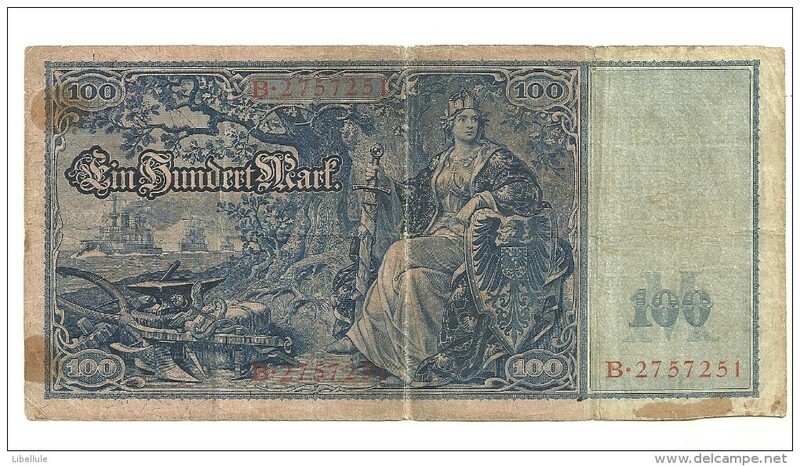 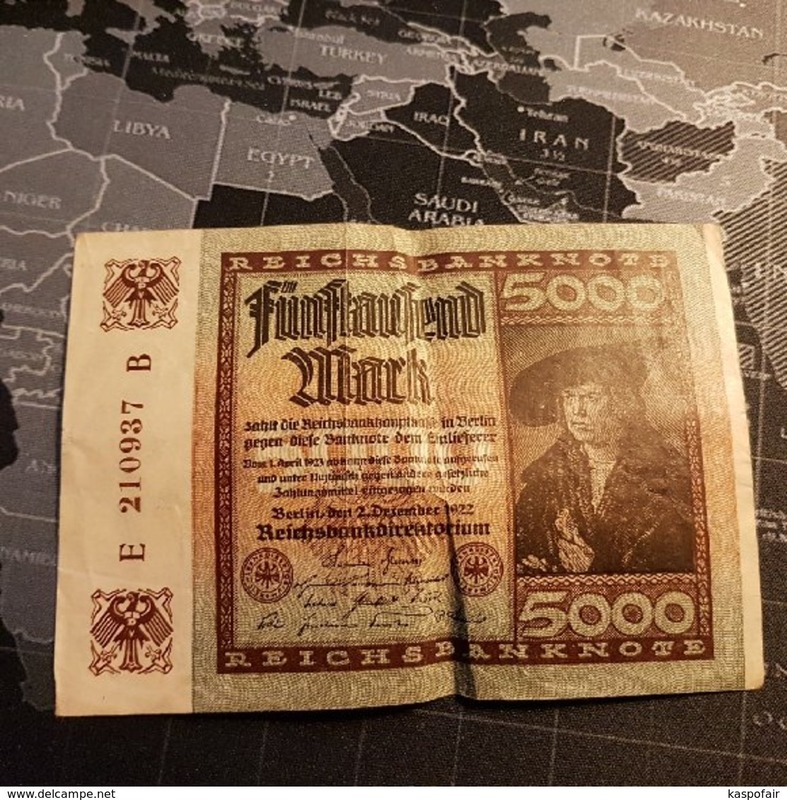 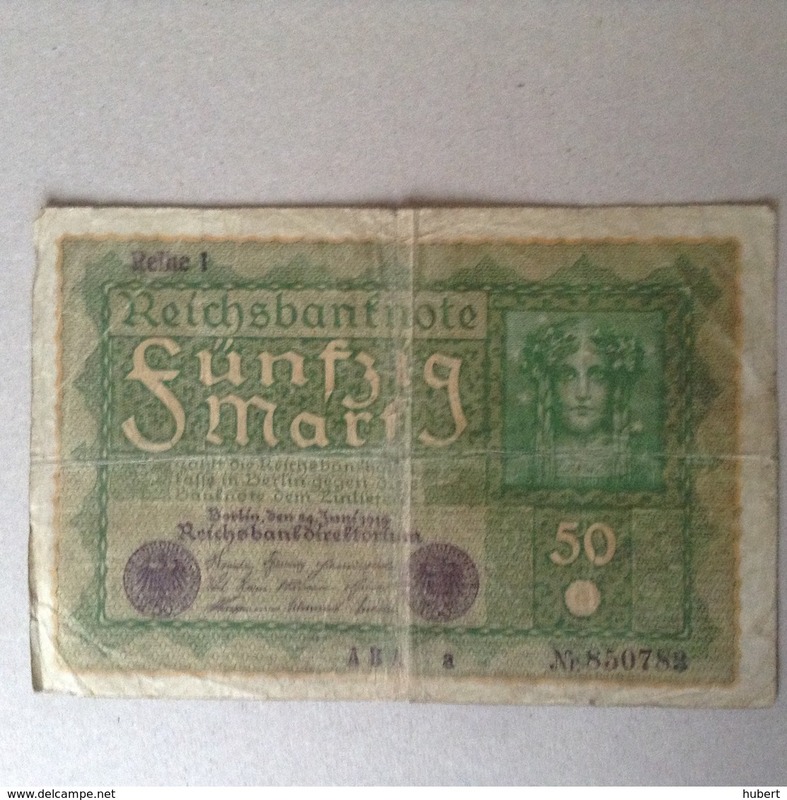 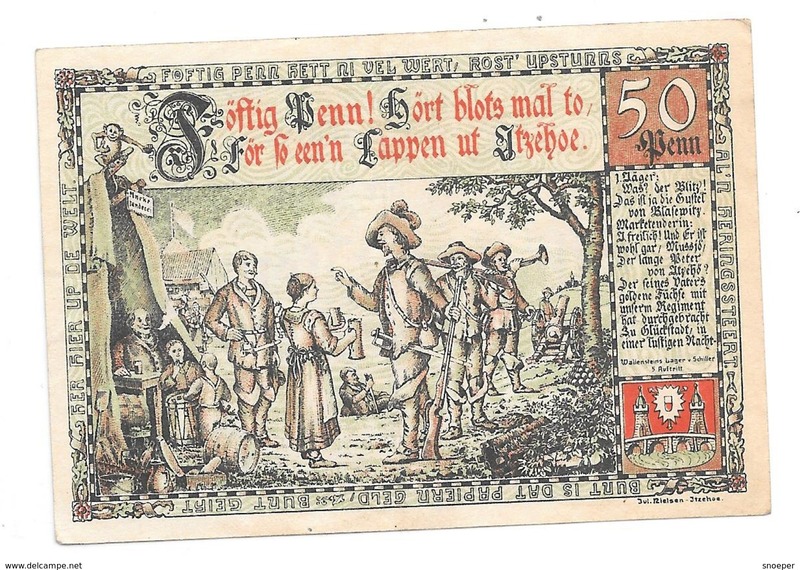 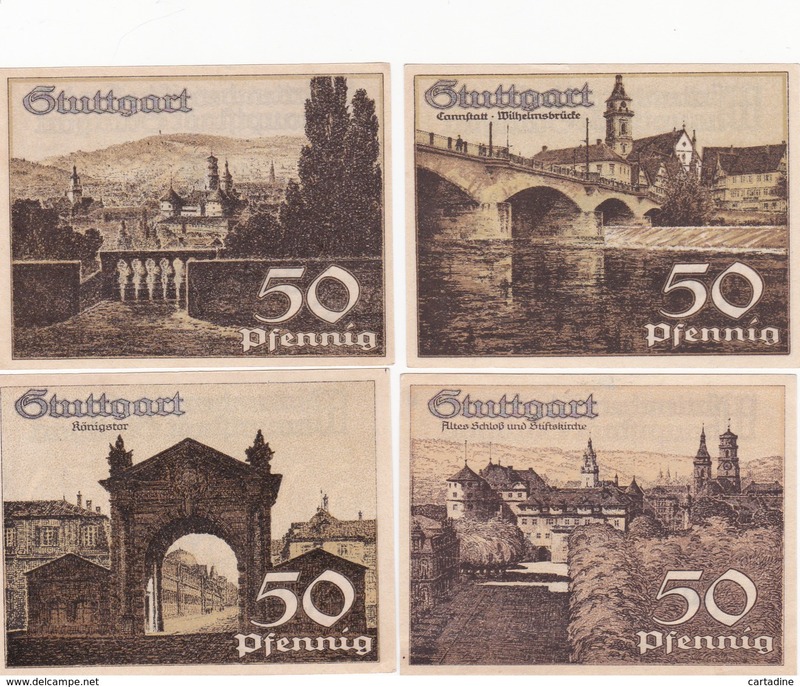 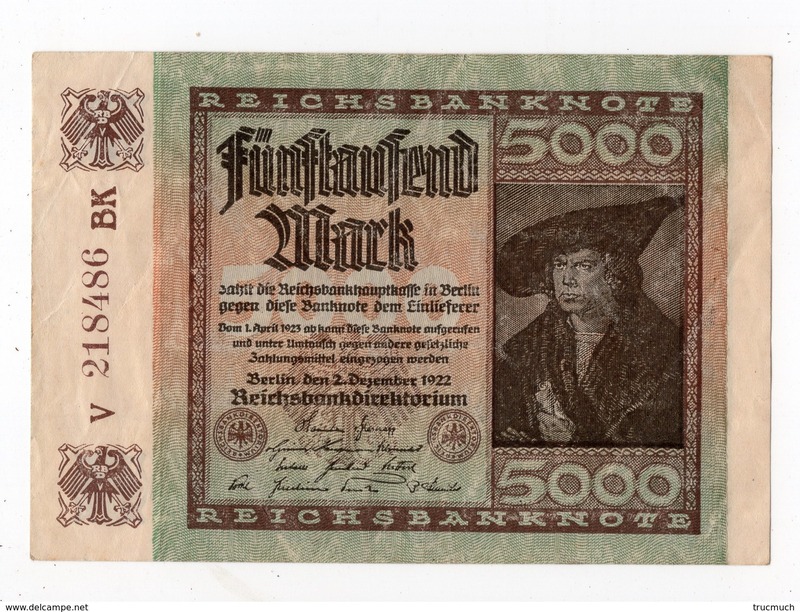 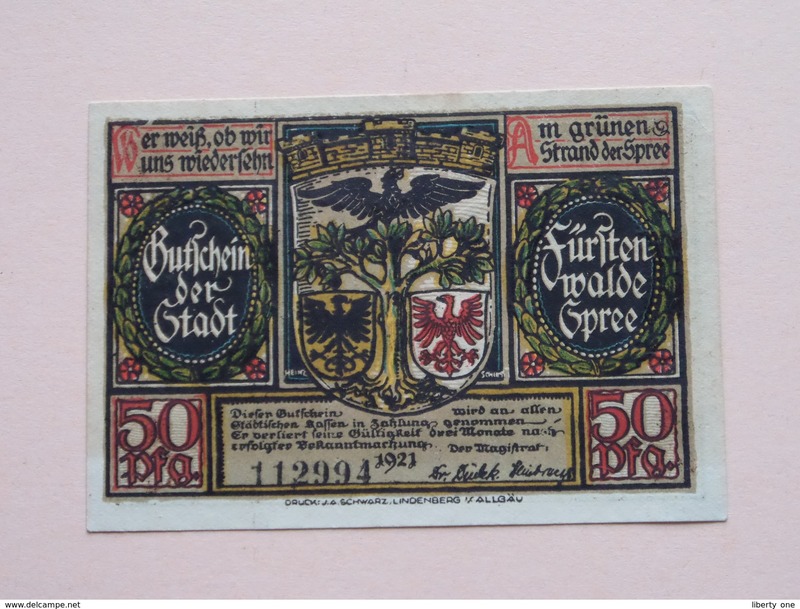 DETMOLD - 50 Pfennige NOTGELD - 1920 - 715590 ( details zie foto ) ! 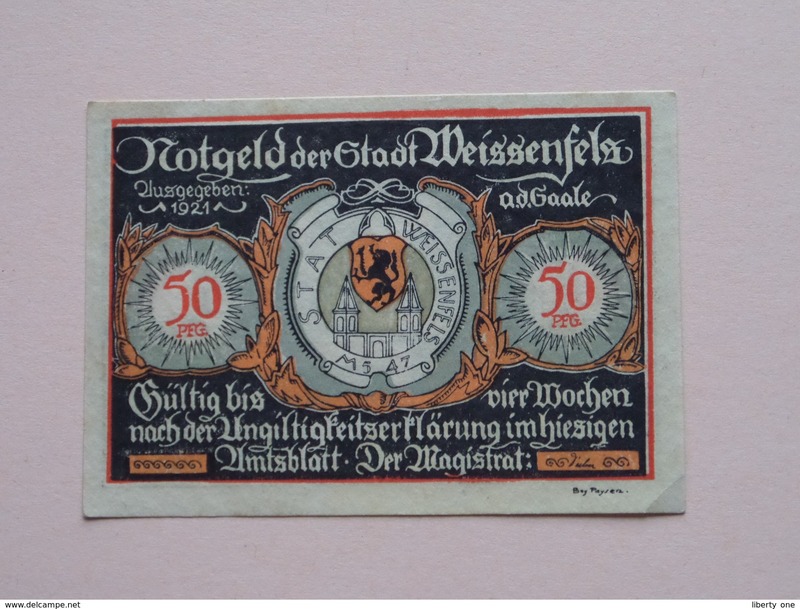 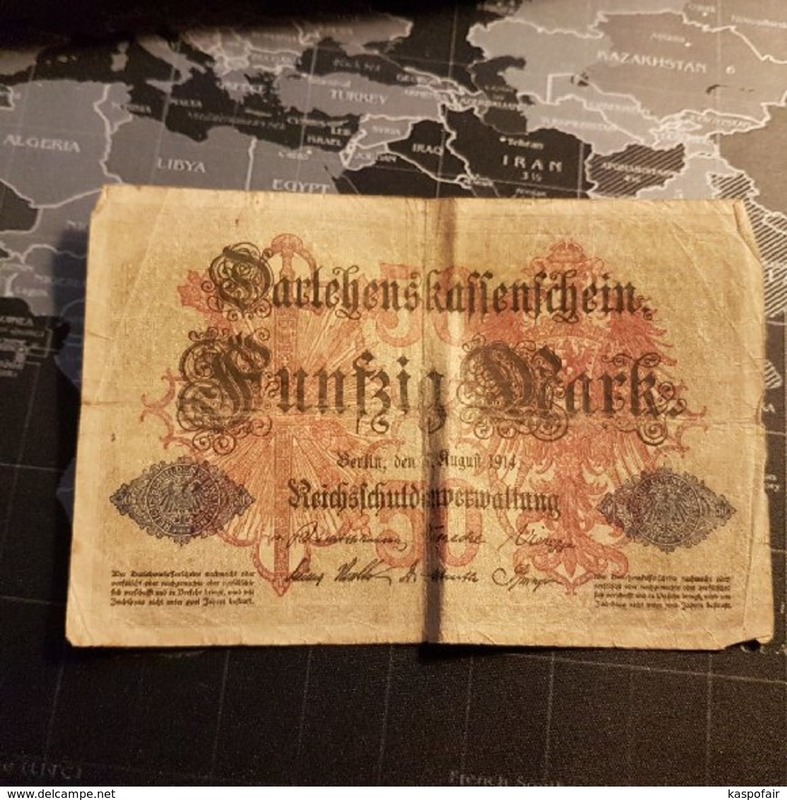 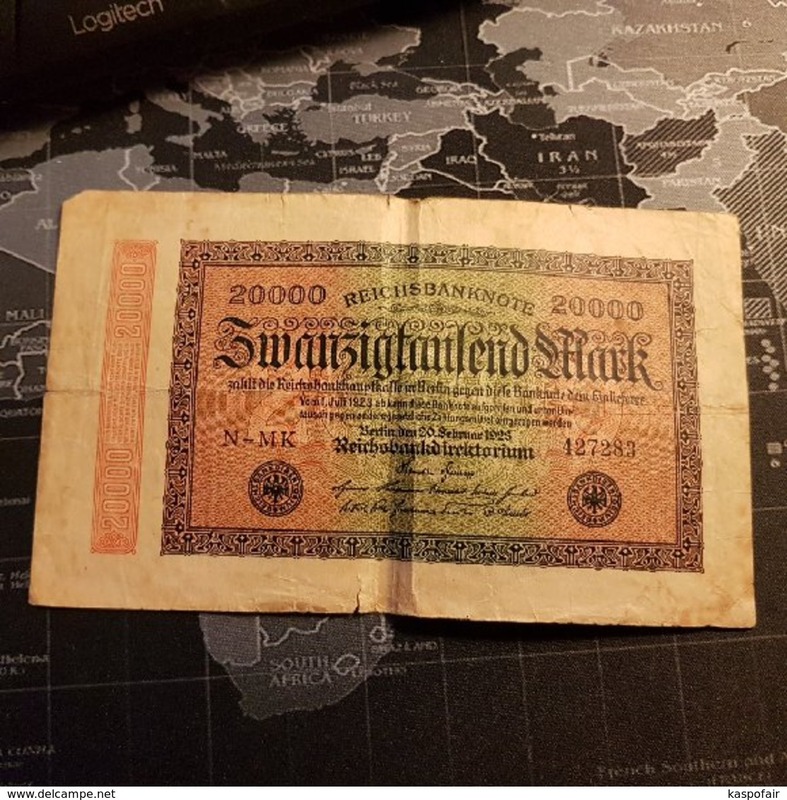 WEISSENFELS - 50 Pfennige NOTGELD - 1921 ( details zie foto ) ! 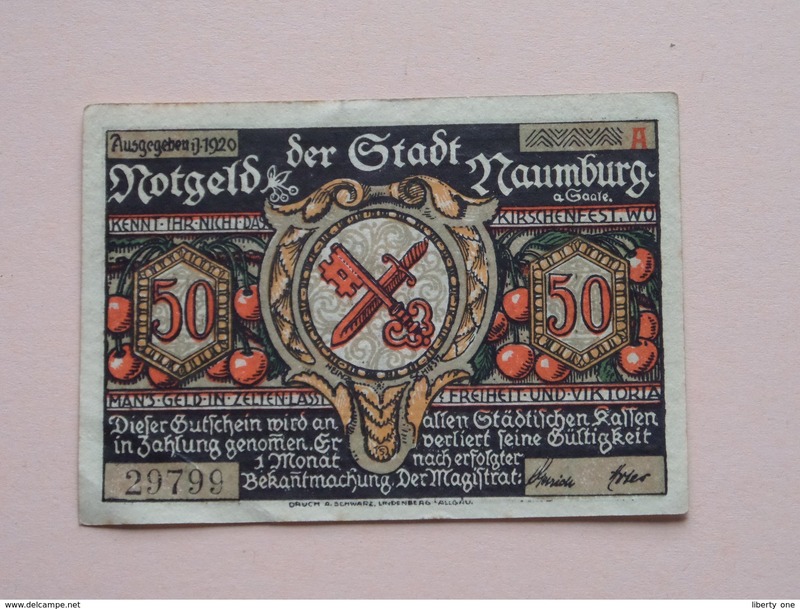 NAUMBURG - 50 Pfennige NOTGELD - 1920 - 29799 ( details zie foto ) ! 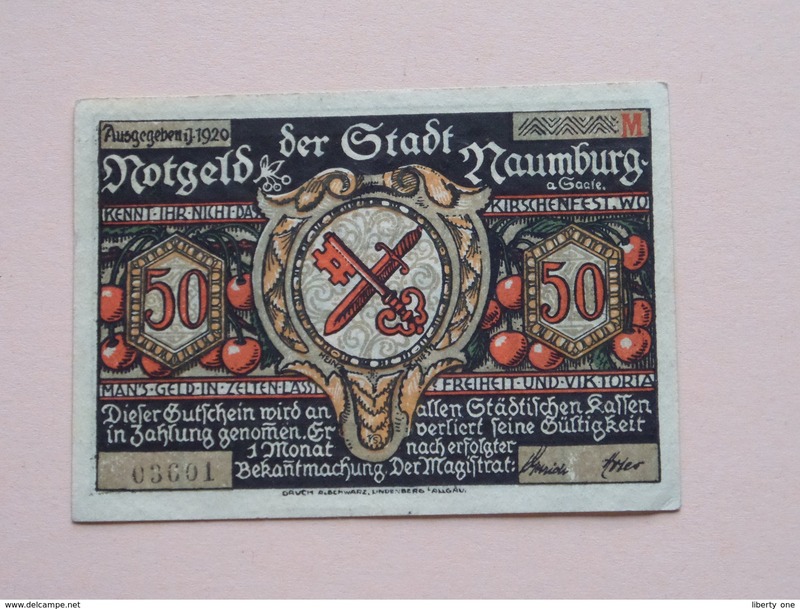 NAUMBURG - 50 Pfennige NOTGELD - 1920 - 03601 ( details zie foto ) ! 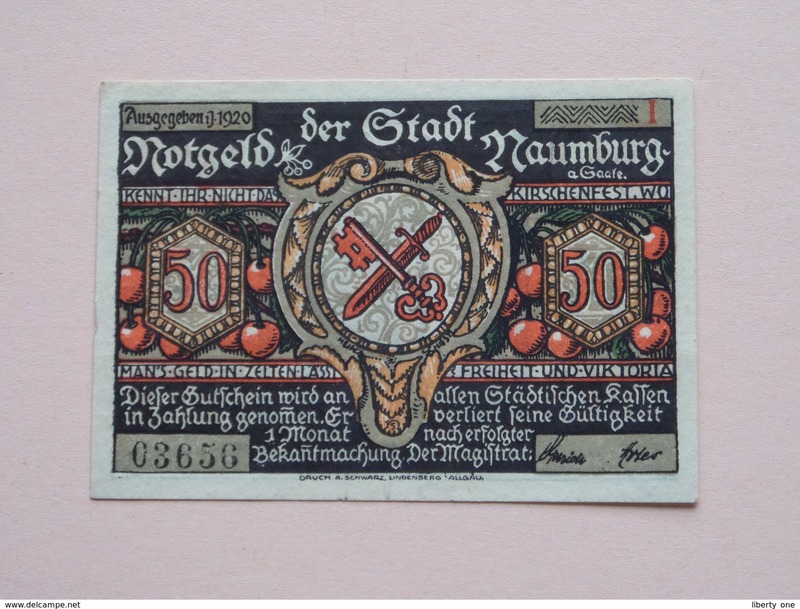 NAUMBURG - 50 Pfennige NOTGELD - 1920 - 03656 ( details zie foto ) ! 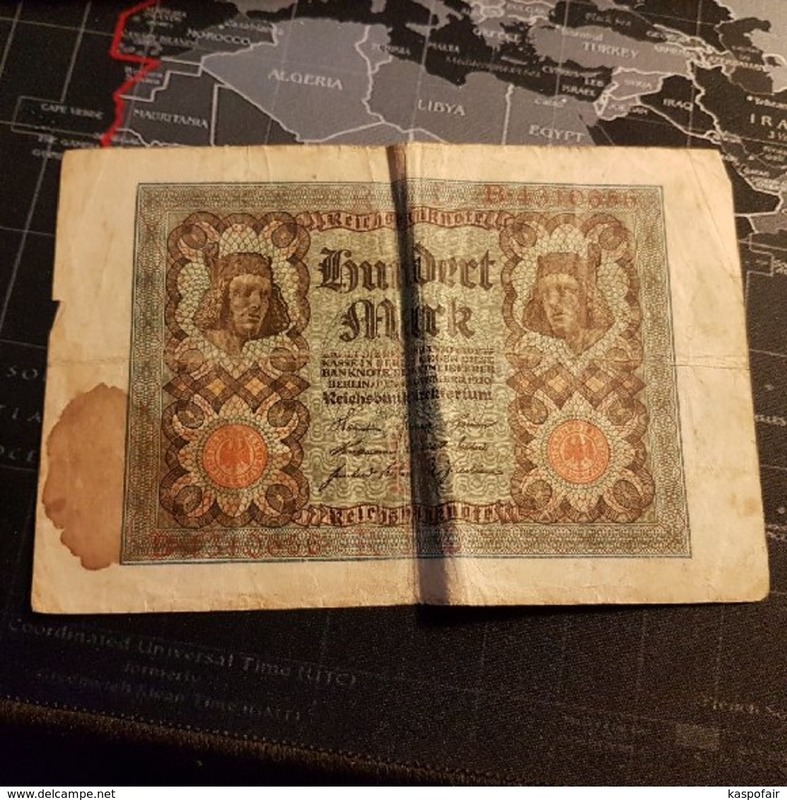 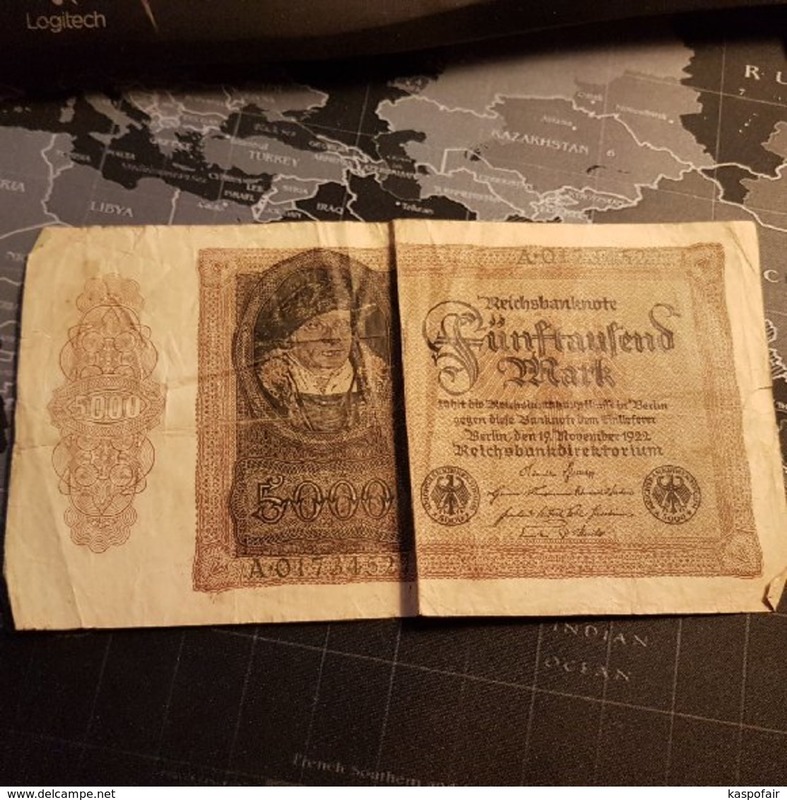 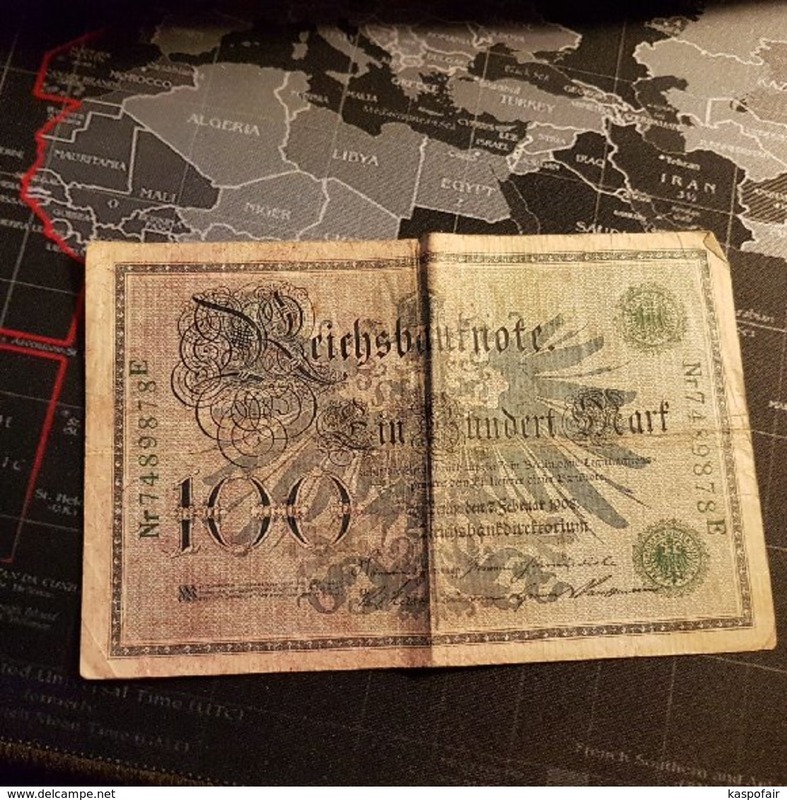 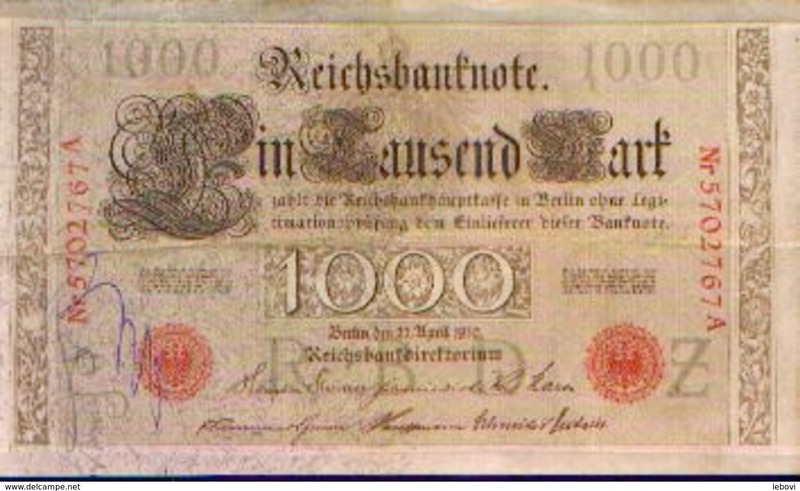 Schöppenstedt 50 Pfennige NOTGELD - 1921 ( details zie foto ) ! 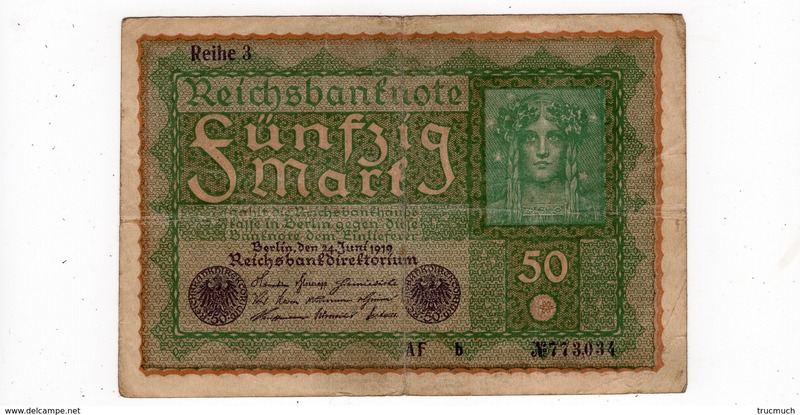 10 ReichsMark - E 05532664 - Berlin 1924/29 ( for Grade, please see photo ) ! 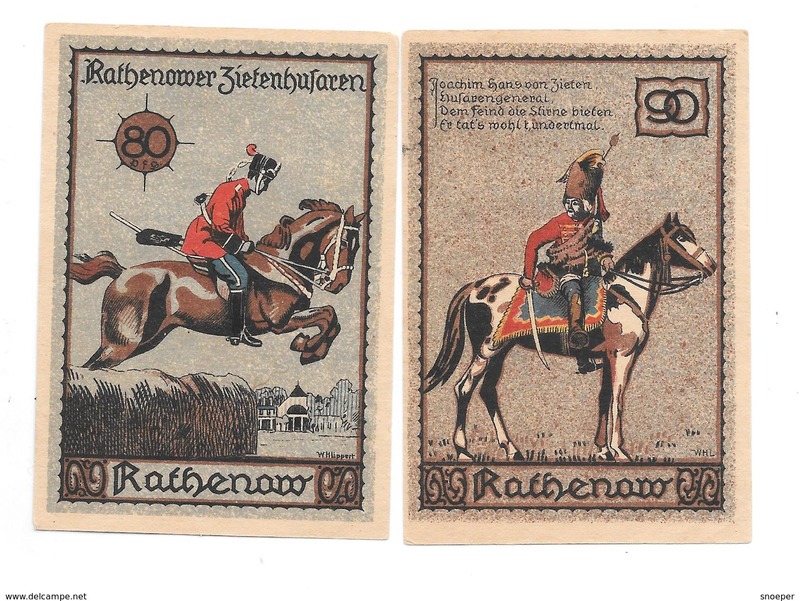 EIN Hundert Mark - Nr 6921924 H - Berlin 1908 ( for Grade, please see photo ) ! 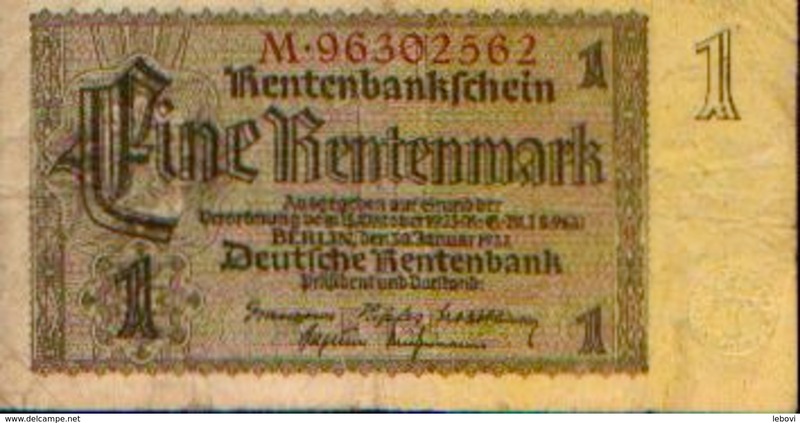 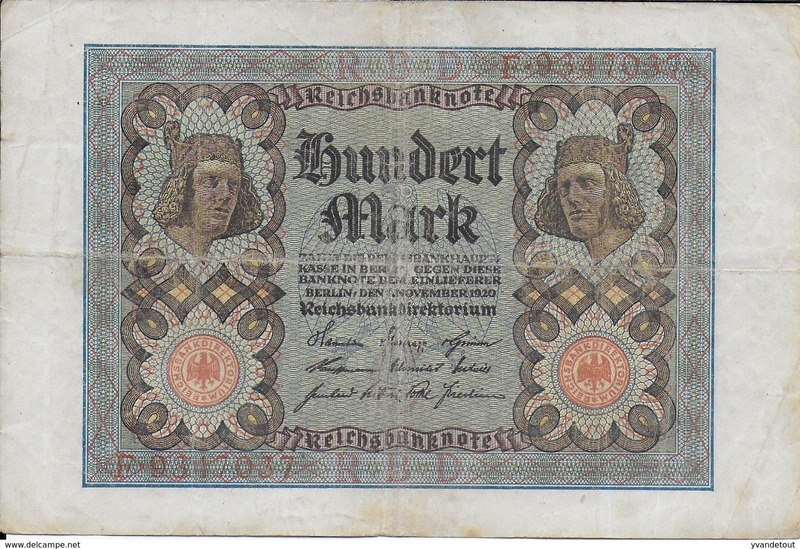 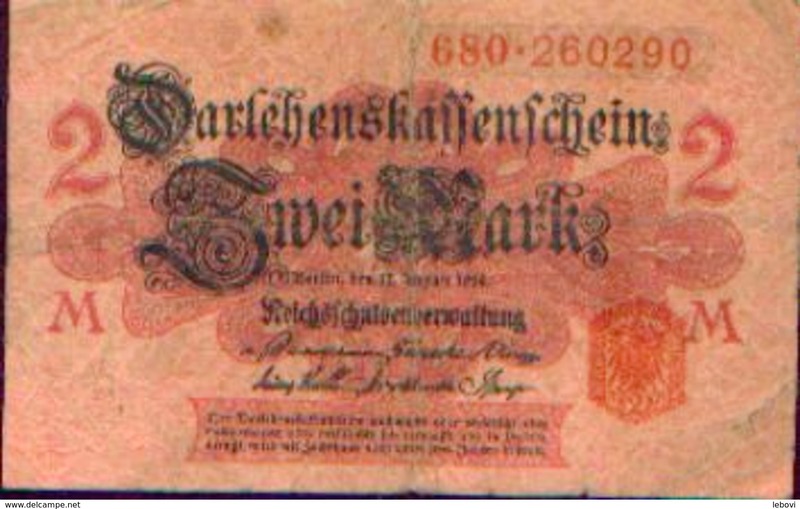 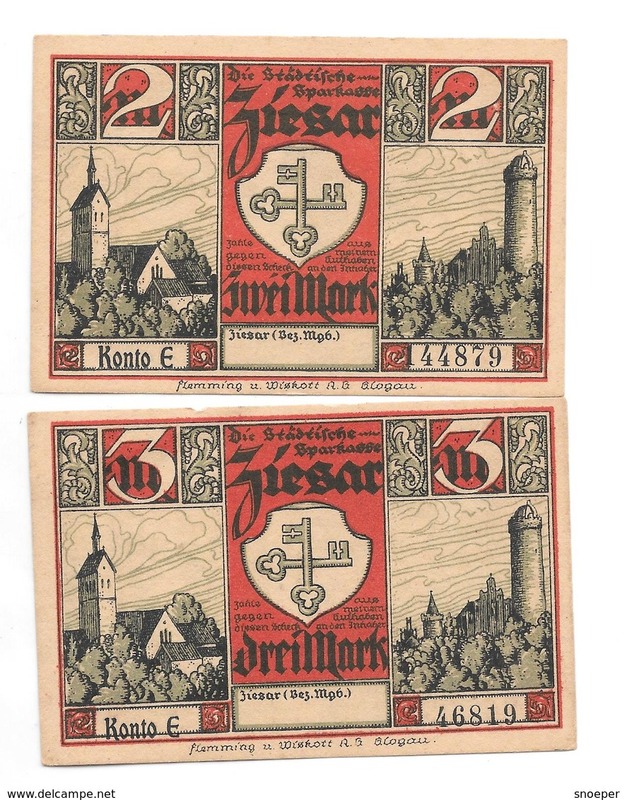 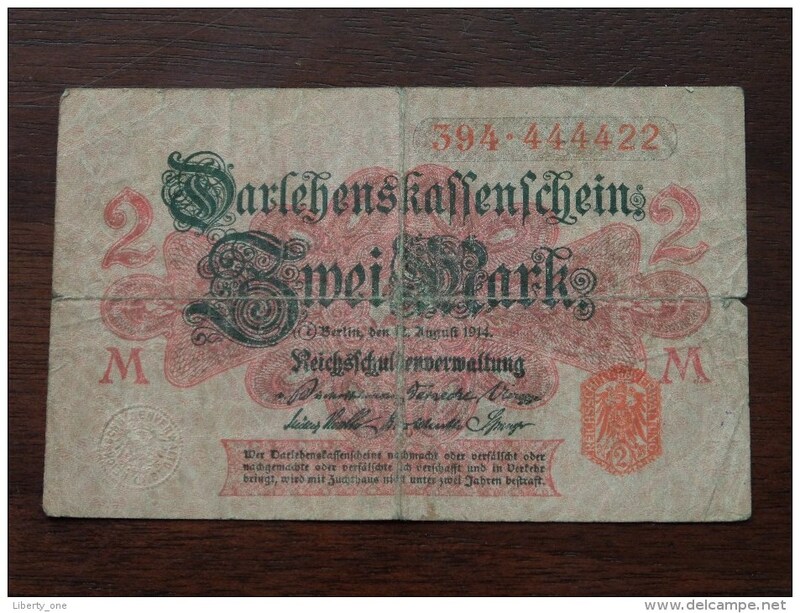 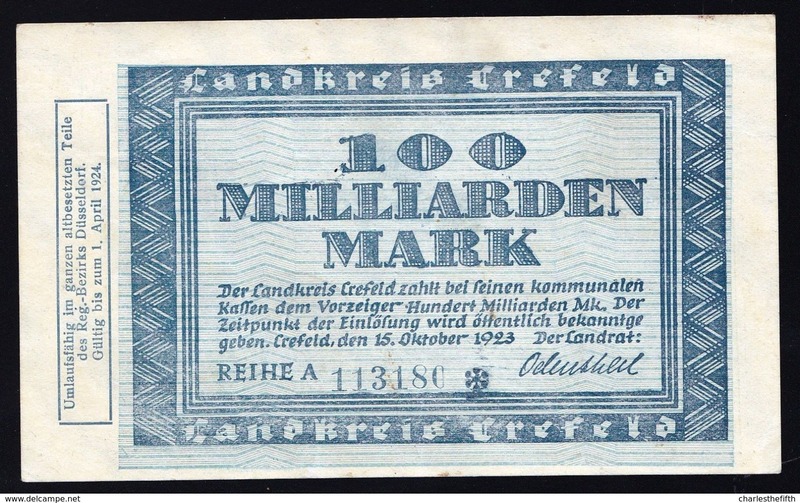 Zwei Millionen Mark BK Berlin 1923 ( for Grade, please see photo ) ! 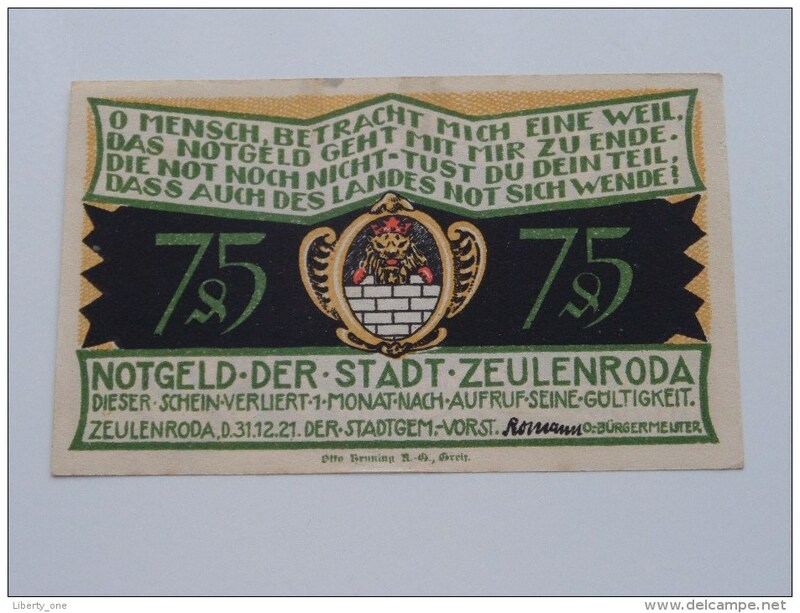 75 Pfennig Stadt ZEULENRODA Anno 1921 ( 5 Stuck ) ( for Grade, please see photo ) ! 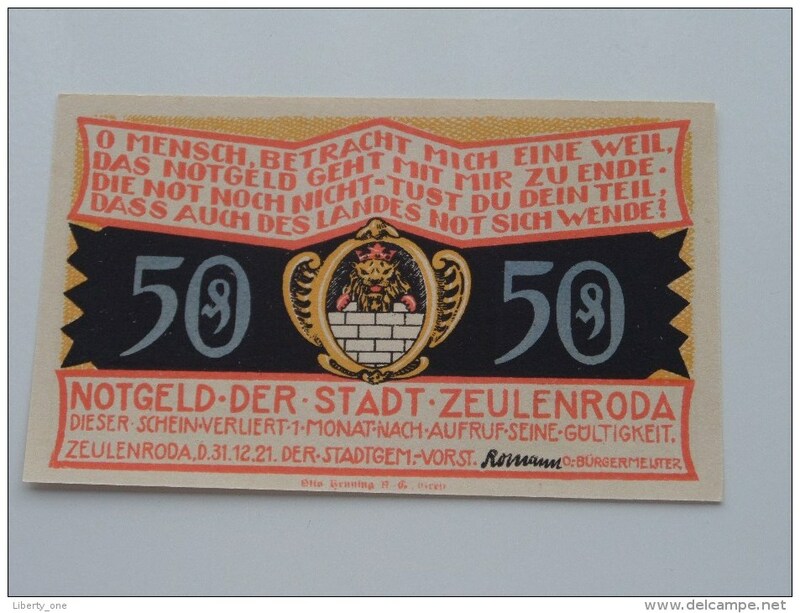 50 Pfennig Stadt ZEULENRODA Anno 1921 ( 5 Stuck ) ( for Grade, please see photo ) ! 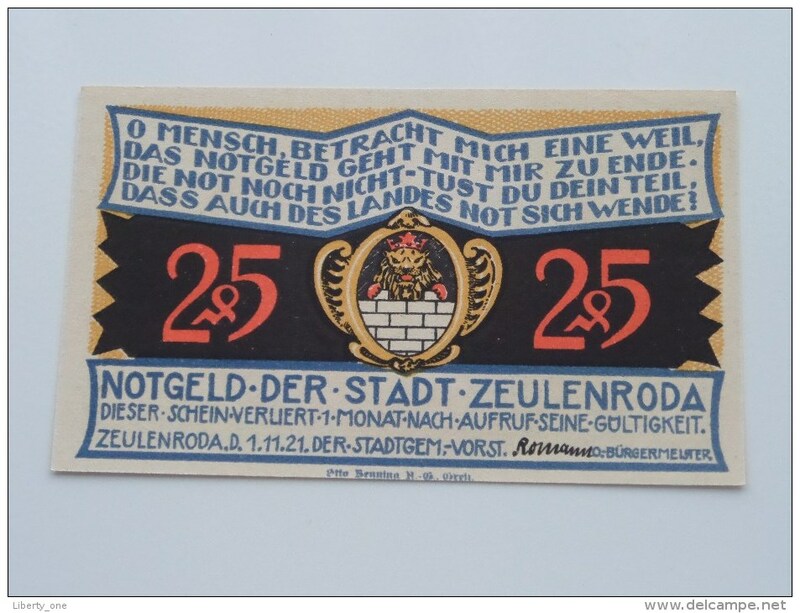 25 Pfennig Stadt ZEULENRODA Anno 1921 ( 4 Stuck ) ( for Grade, please see photo ) ! 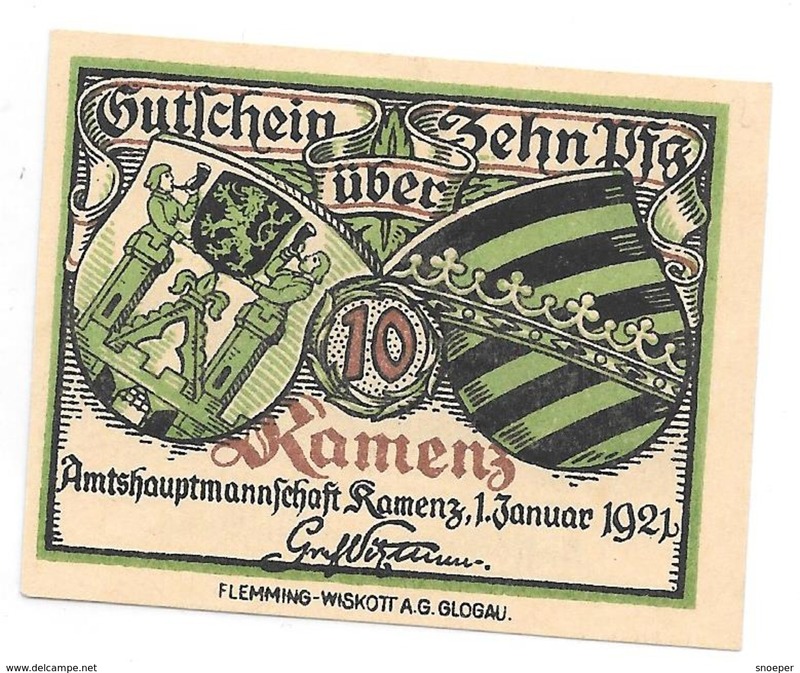 75 Pfennig WAFUNGEN Anno 1921 ( 2 Stuck ) ( for Grade, please see photo ) ! 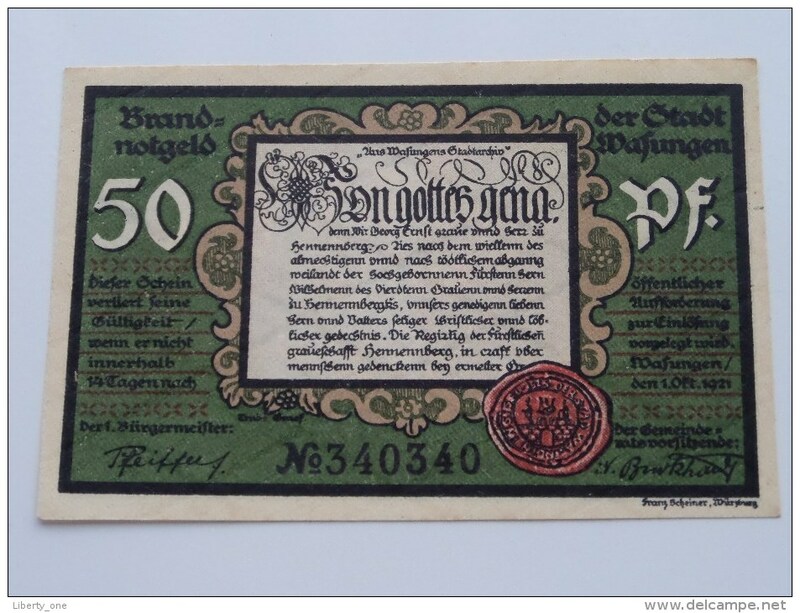 50 Pfennig WAFUNGEN Anno 1921 ( 4 Stuck ) ( for Grade, please see photo ) ! 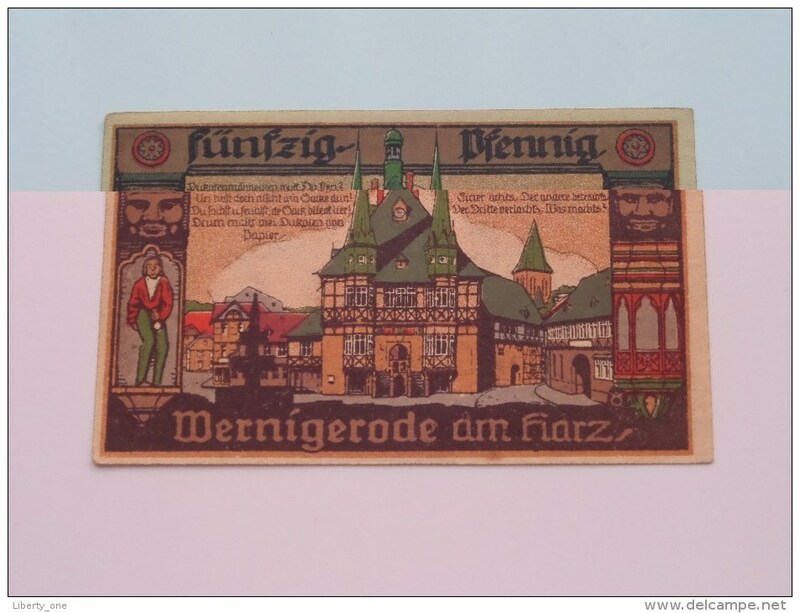 50 Pfennig WERNIGERODE Anno 1920 ( for Grade, please see photo ) ! 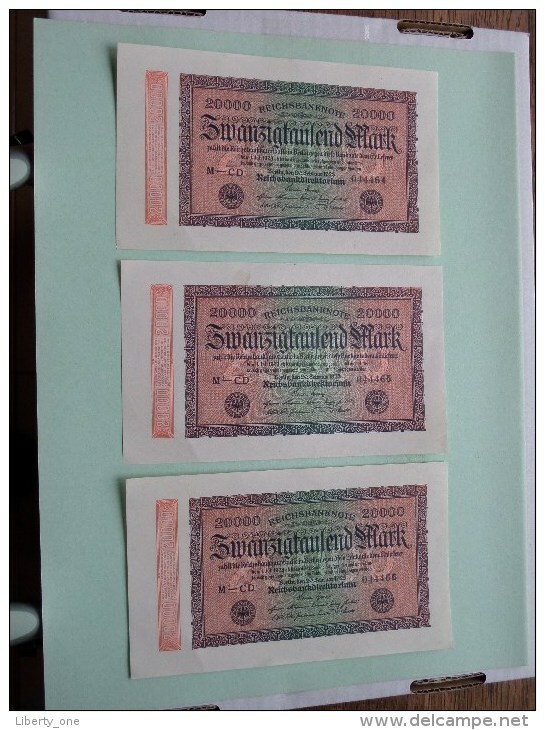 1 Mark NORDSEEBAD 026309 ( for Grade, please see photo ) ! 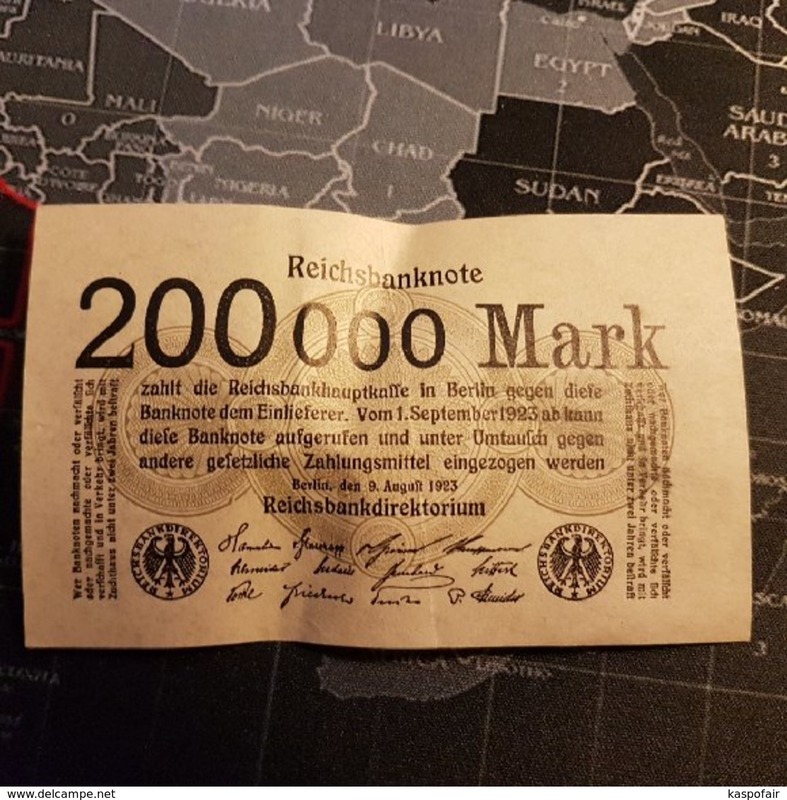 1 Mark WESSELBUREN Dithmarchen Nr. 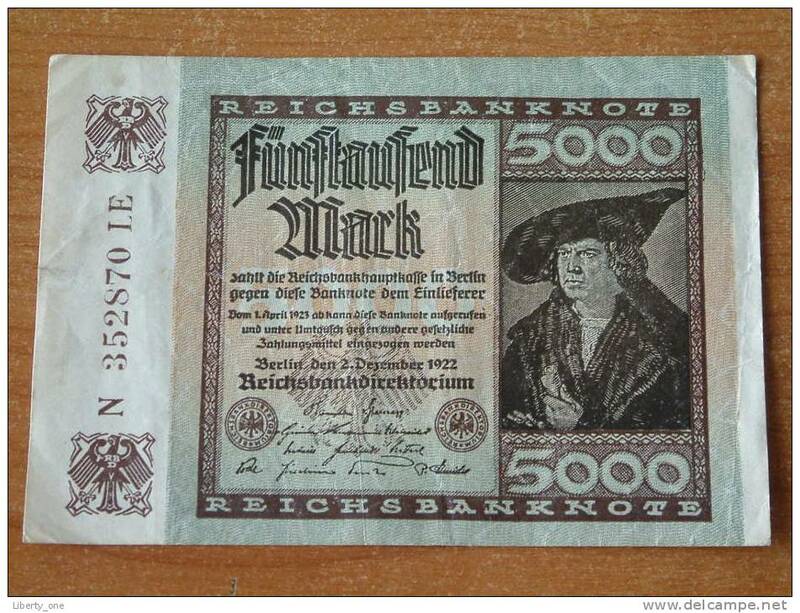 30754 ( for Grade, please see photo ) ! 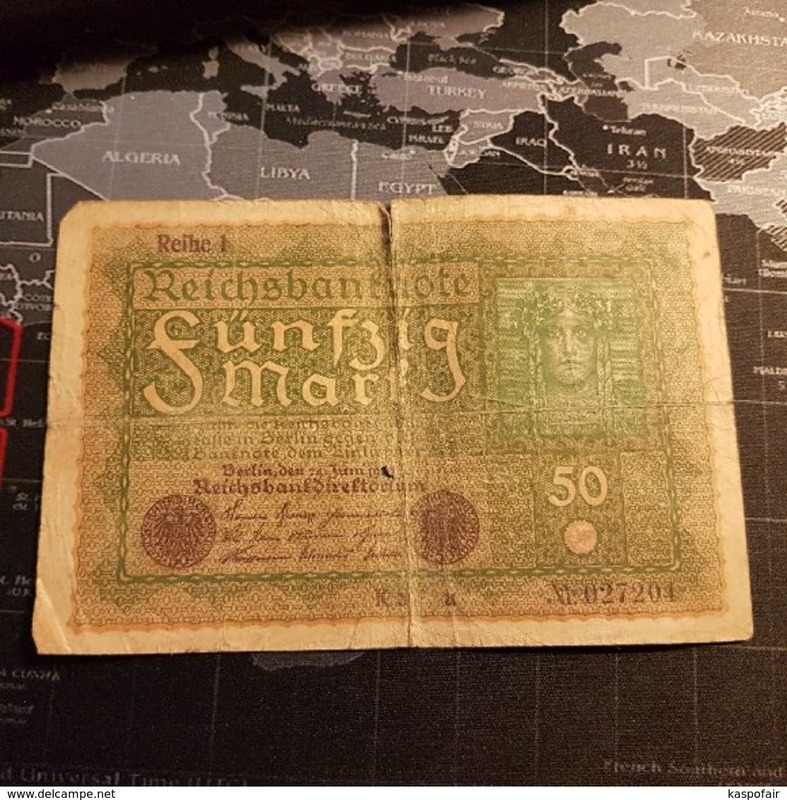 50 Pfennig WESSELBUREN Dithmarchen Nr. 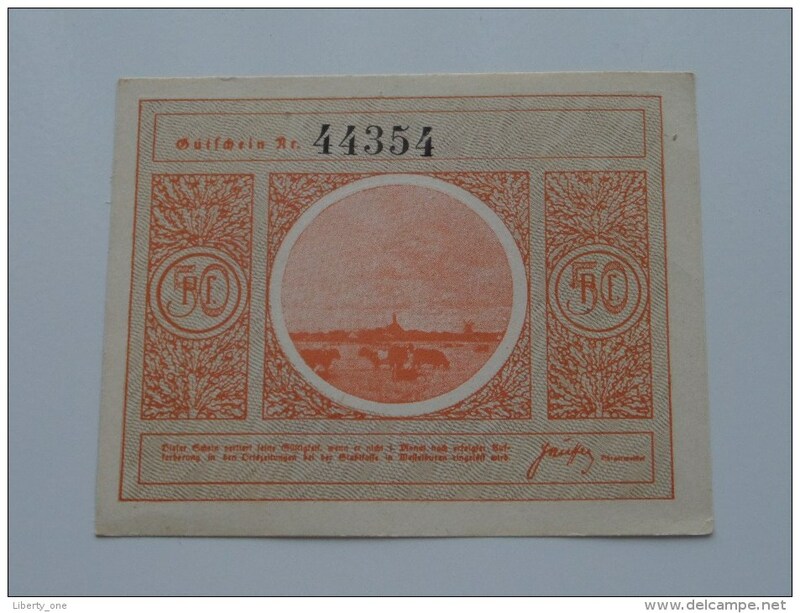 44354 ( for Grade, please see photo ) ! 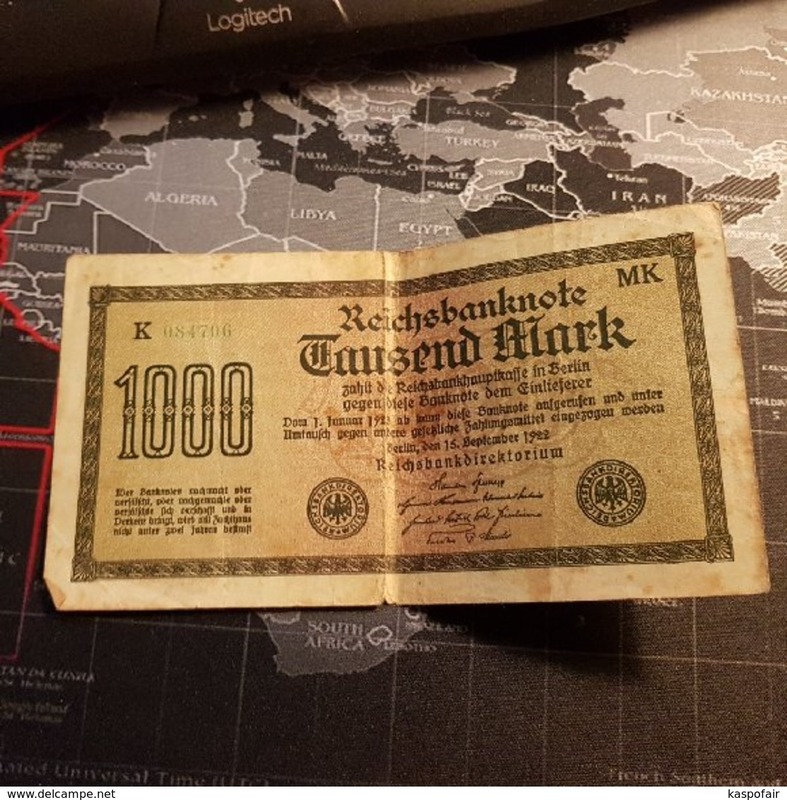 1000 Tausend MARK - N° V 088827 ! 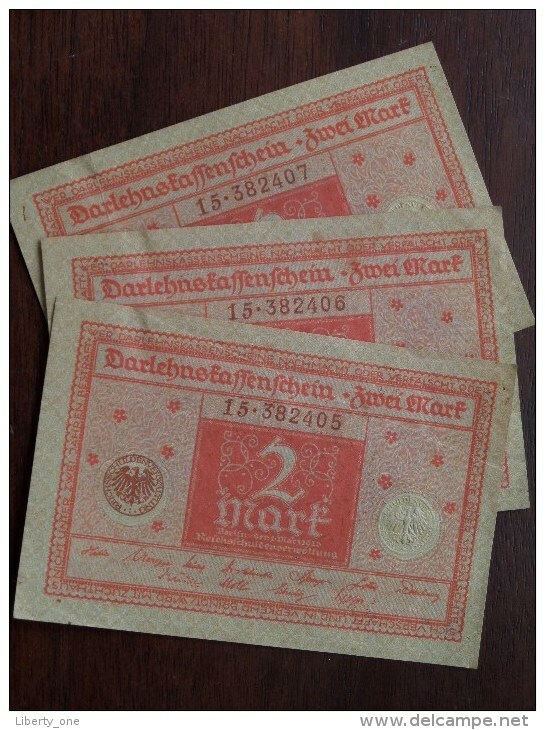 ( for Grade, please see photo ) ! 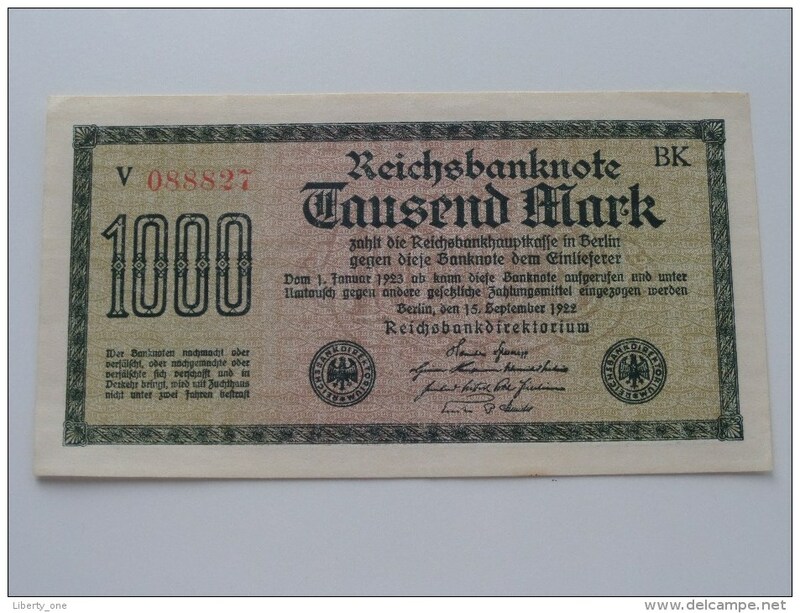 1000 Tausend MARK - N° V 088824 ! 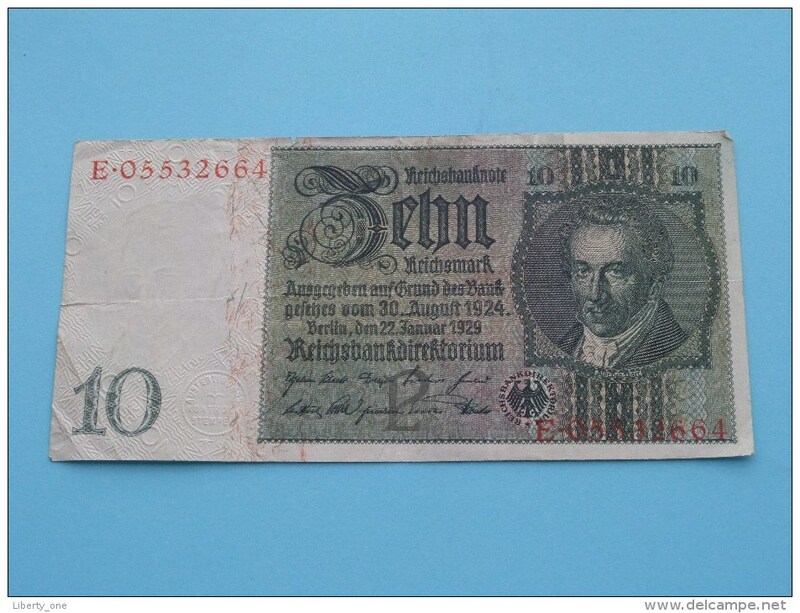 ( for Grade, please see photo ) ! 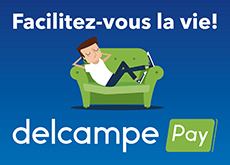 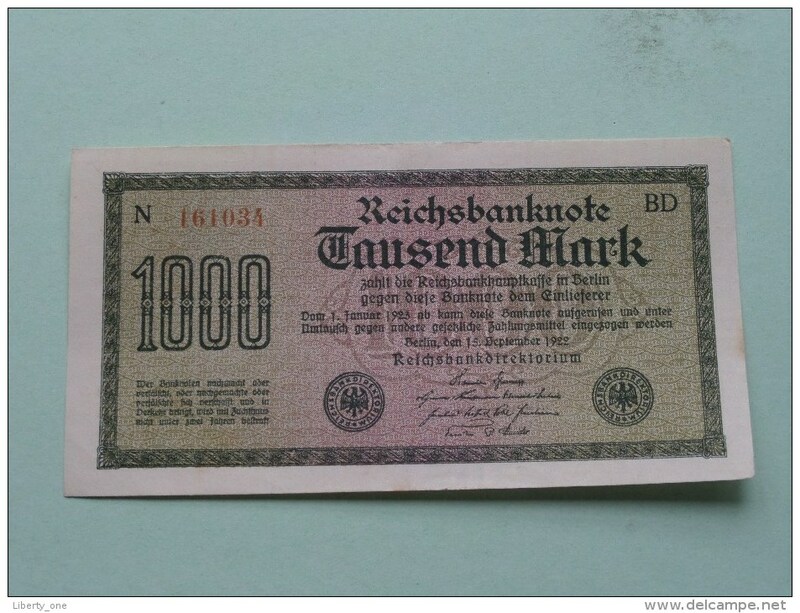 ***** 1000 Tausend MARK - N° V 088807 / 088808 / 088809 / 088810 ***** !!! 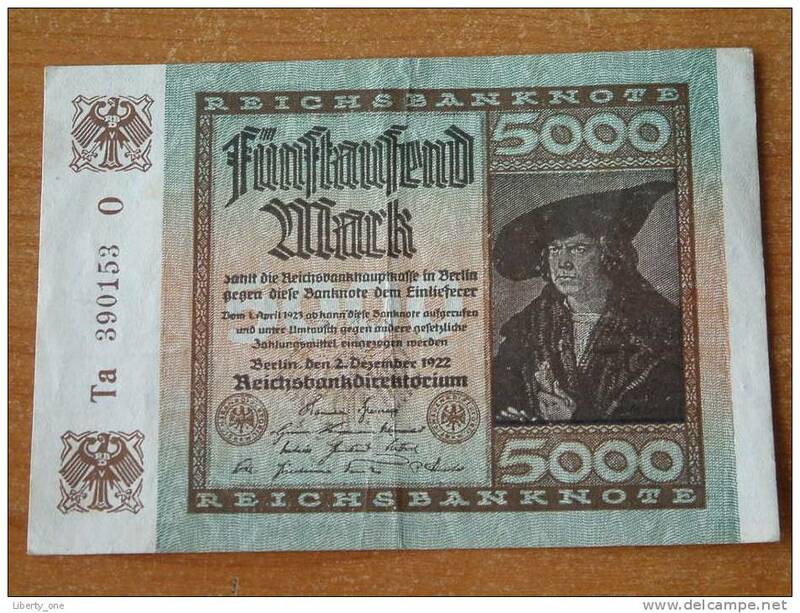 ( for Grade, please see photo ) ! 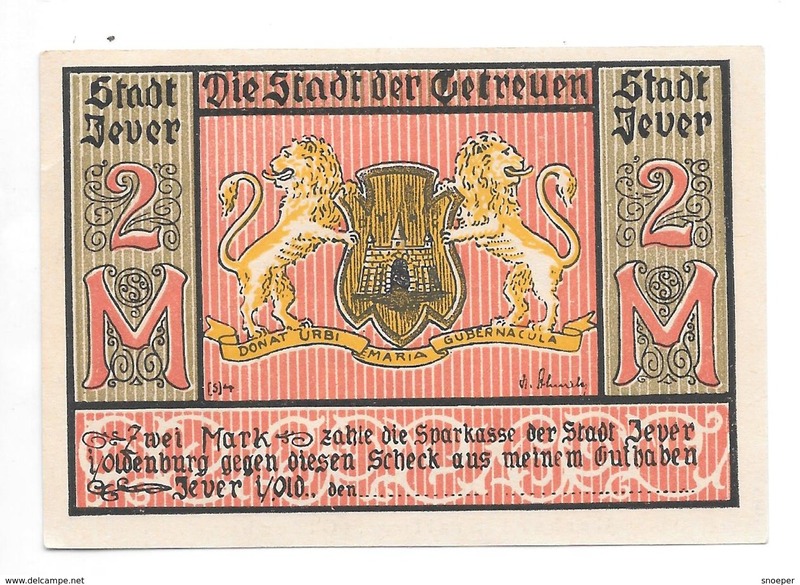 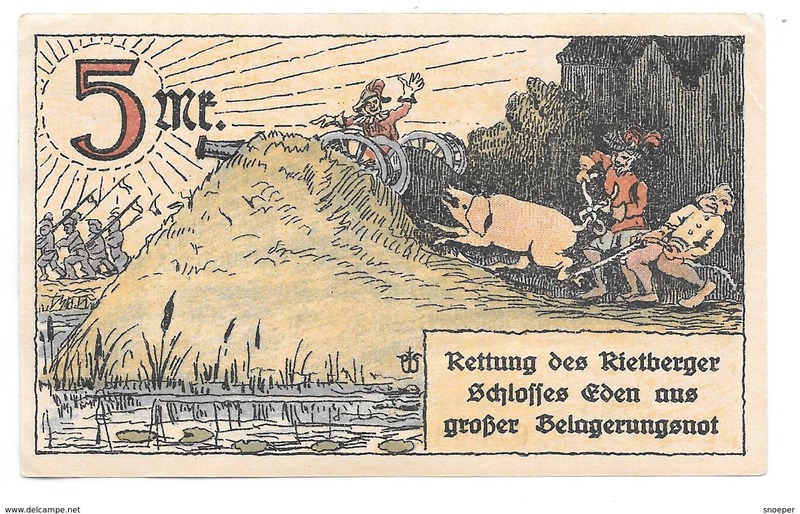 HUNDERT Mark Berlin 1908 Nr. 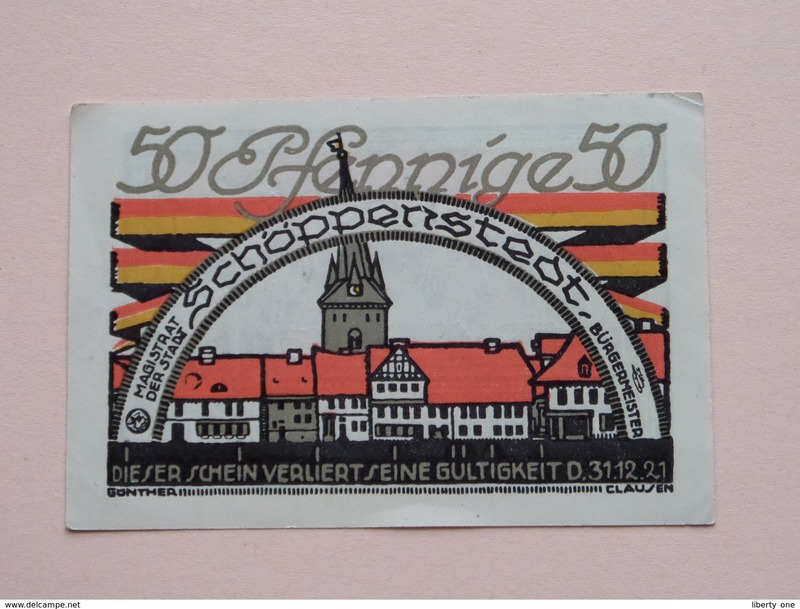 3765219 L ( for Grade, please see photo ) ! 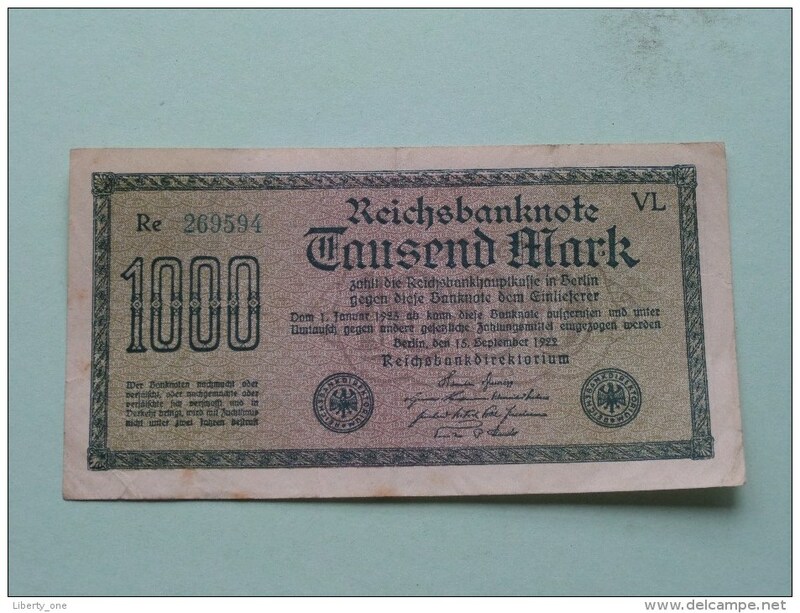 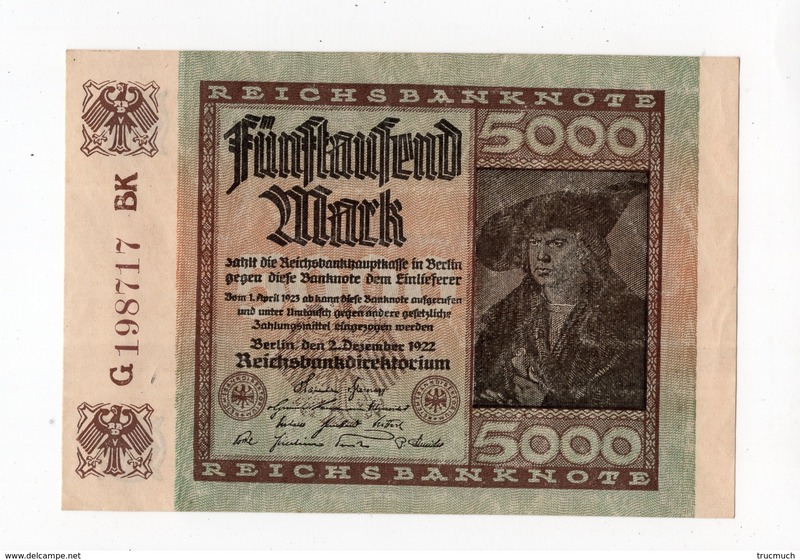 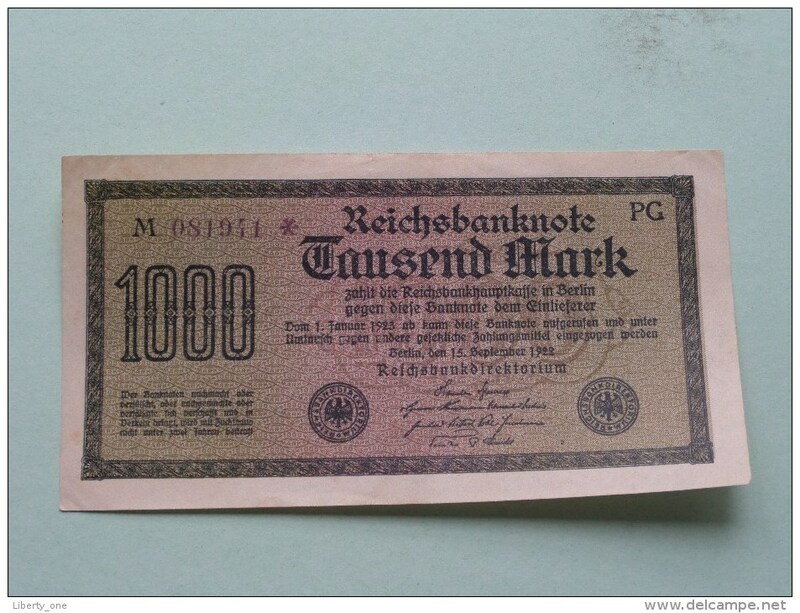 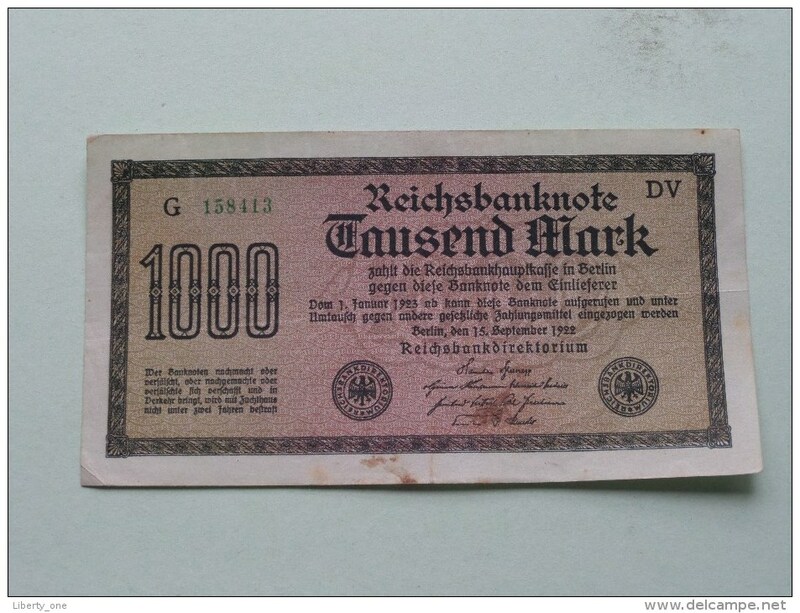 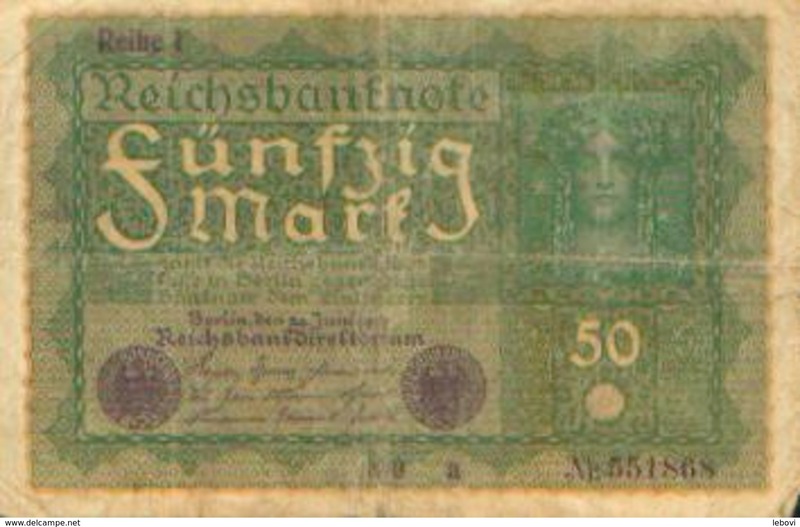 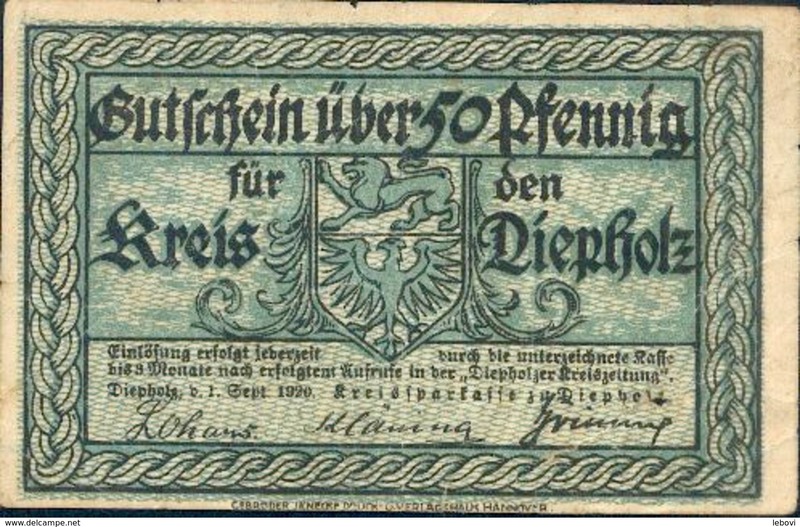 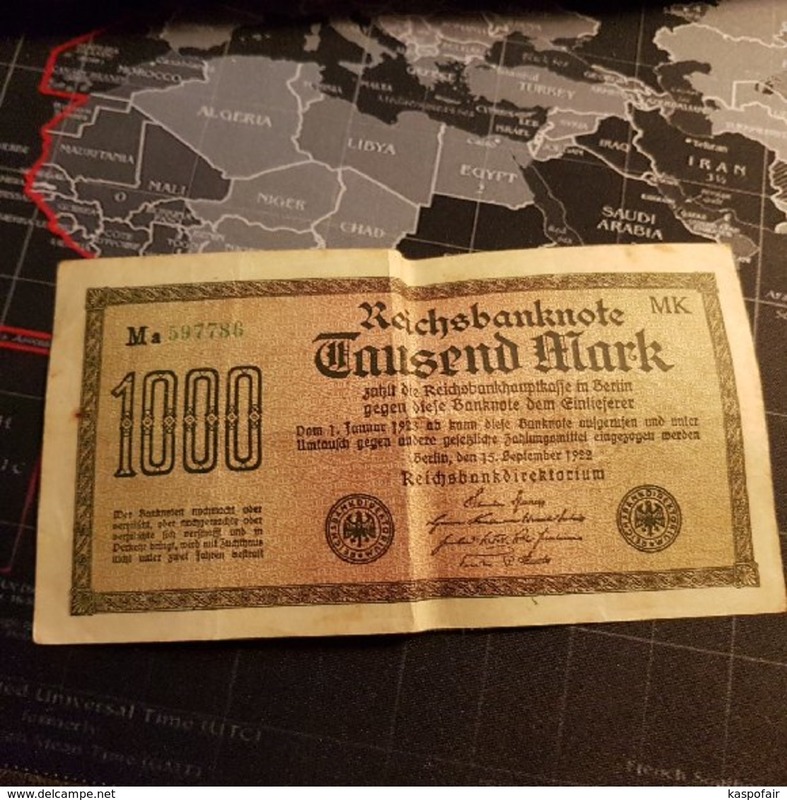 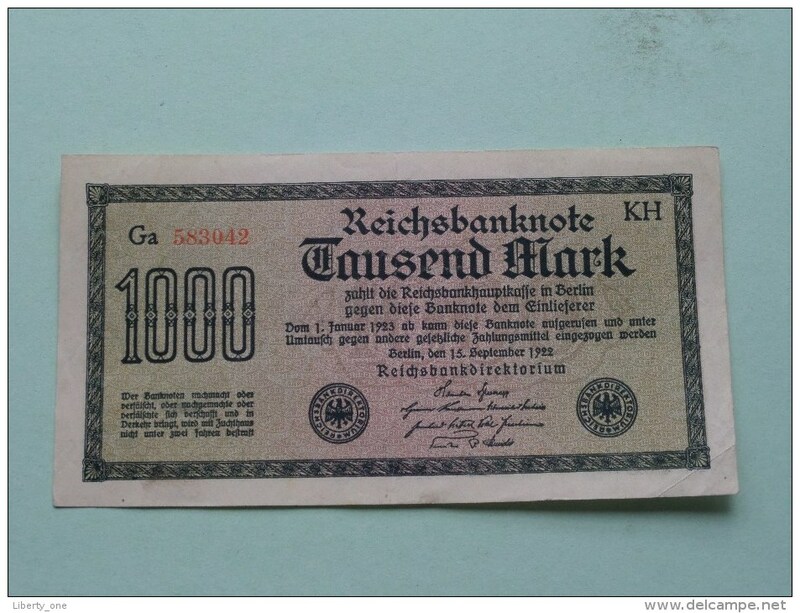 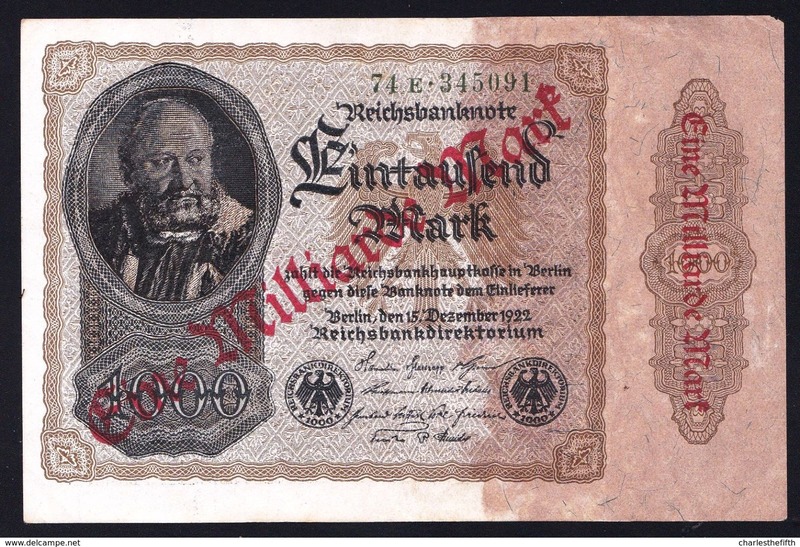 ZEHN Reichsmark Berlin 1929 E 30097183 ( for Grade, please see photo ) ! 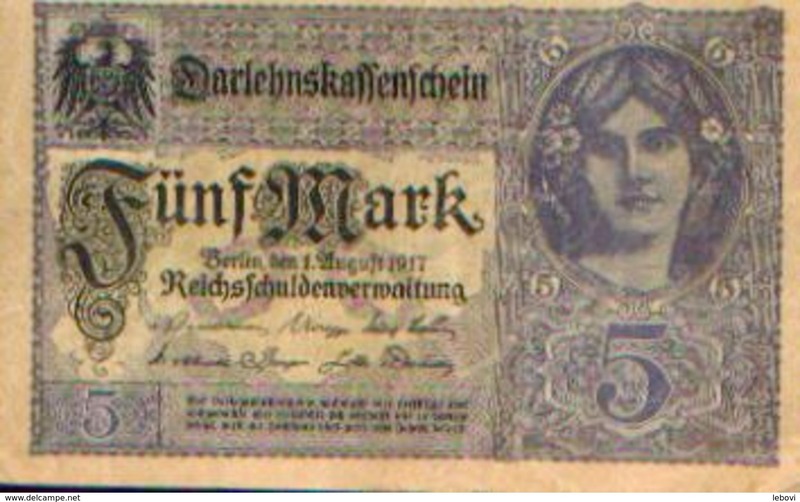 Darlehnskassenschein Zwei Mark Berlin 1914 M 394.444422 ( for Grade, please see photo ) ! 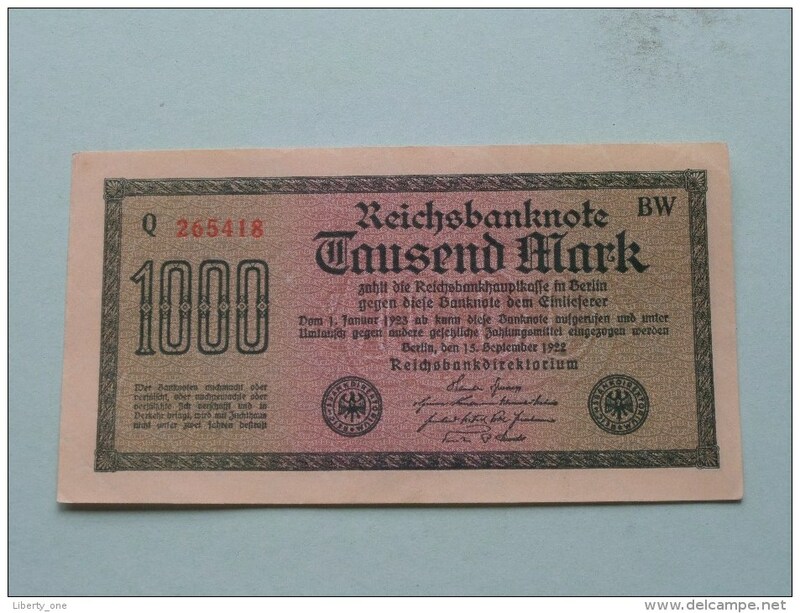 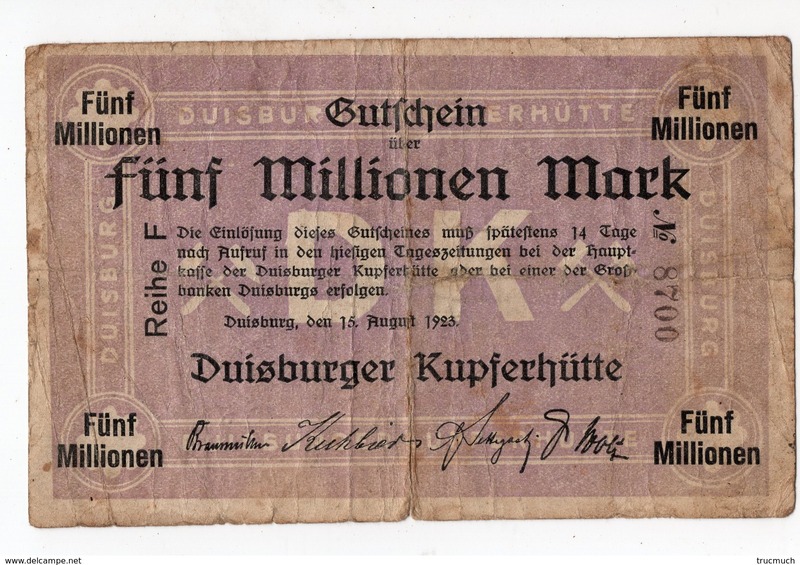 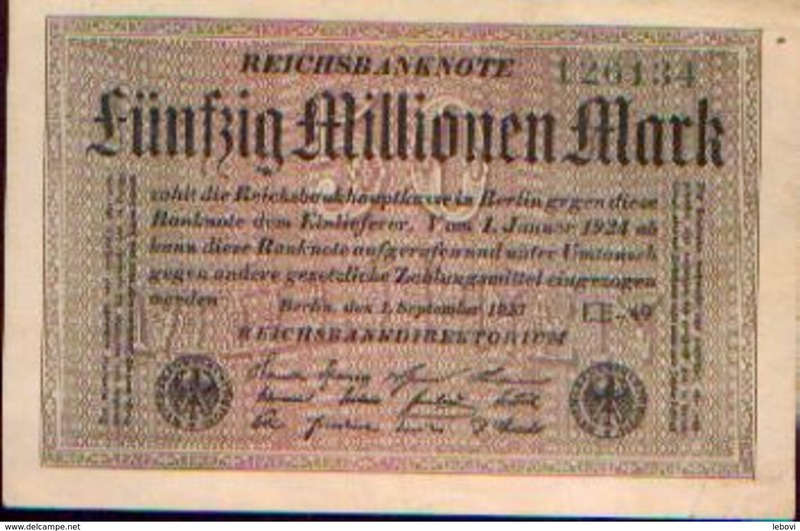 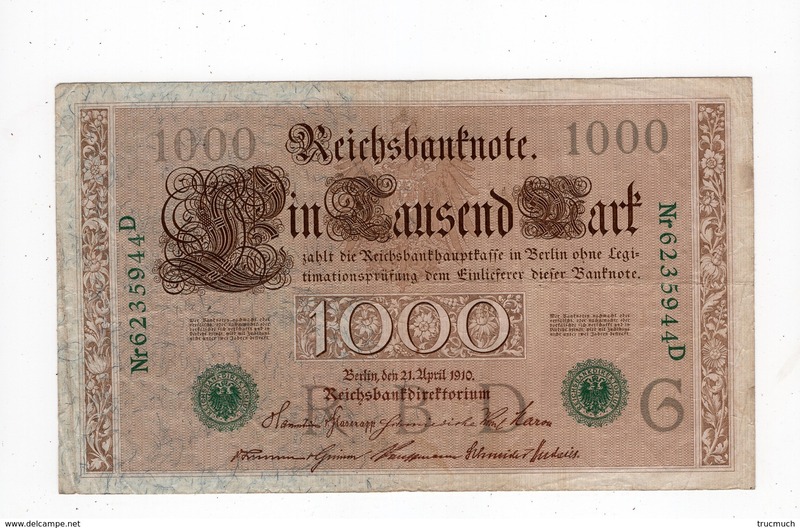 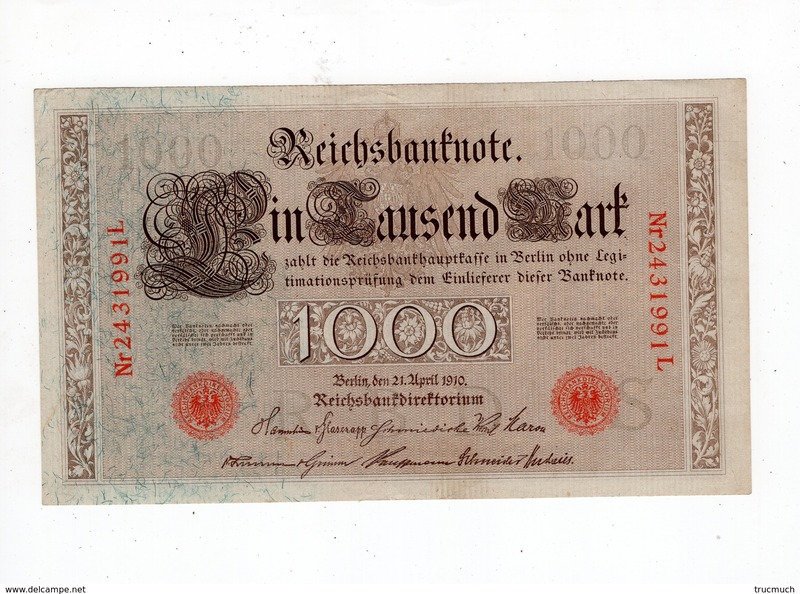 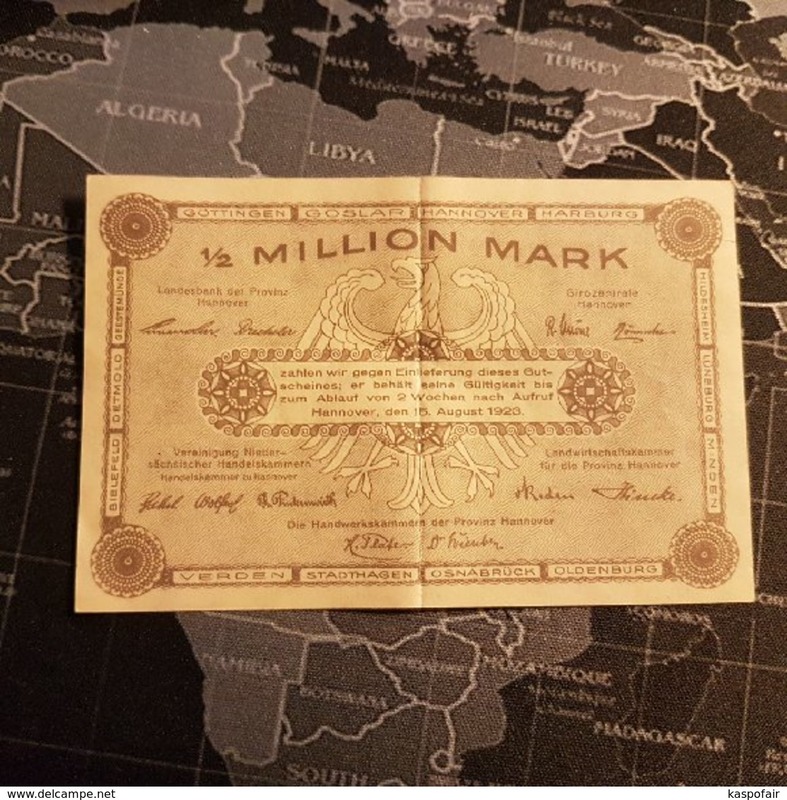 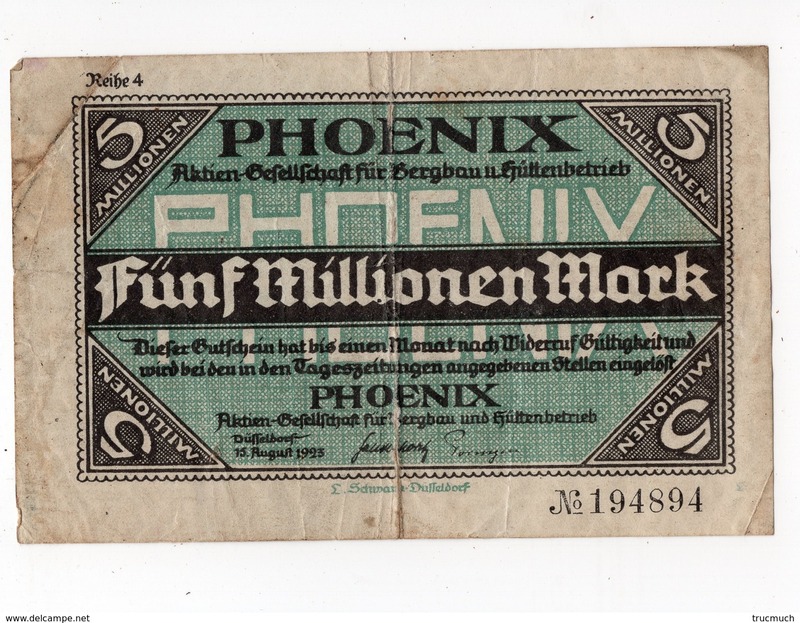 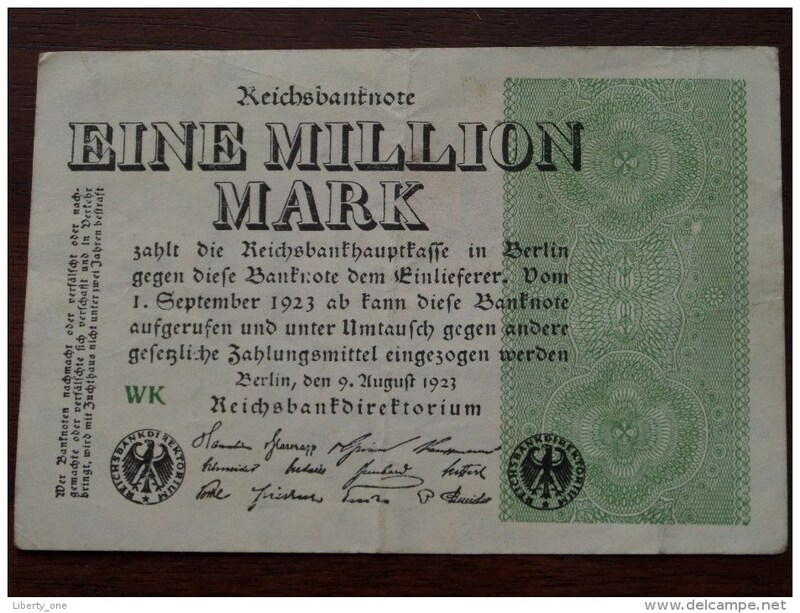 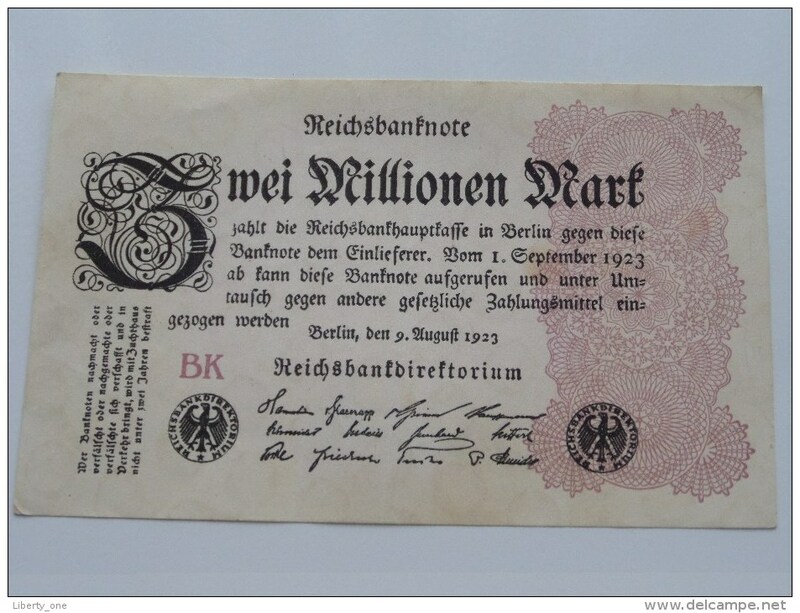 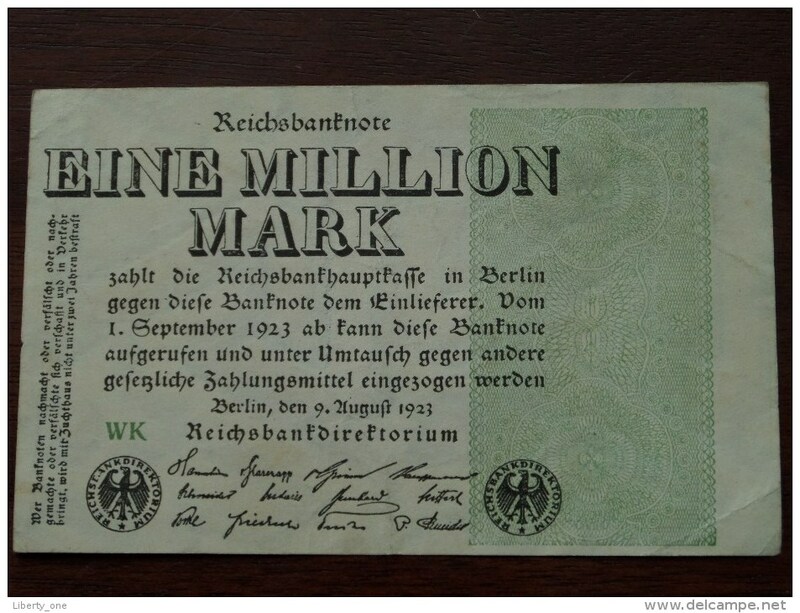 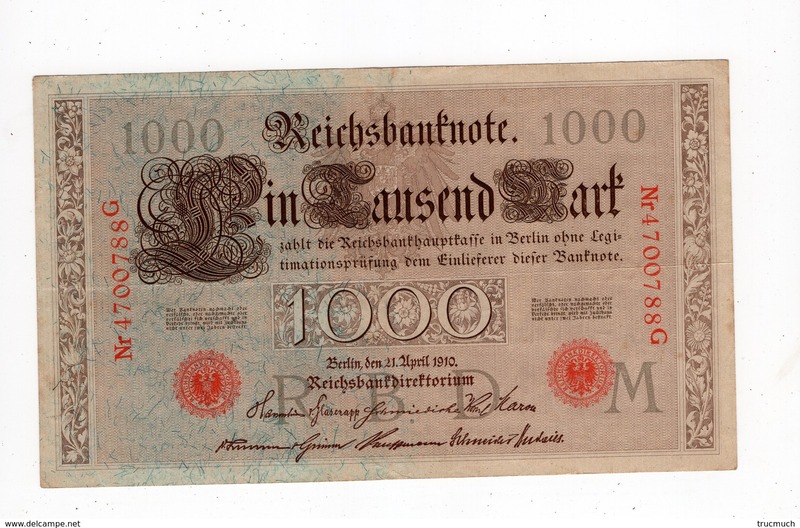 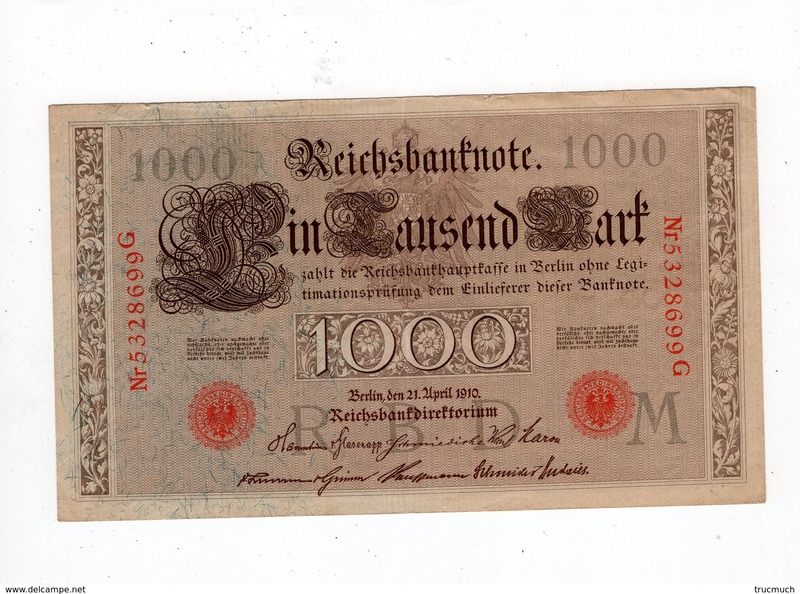 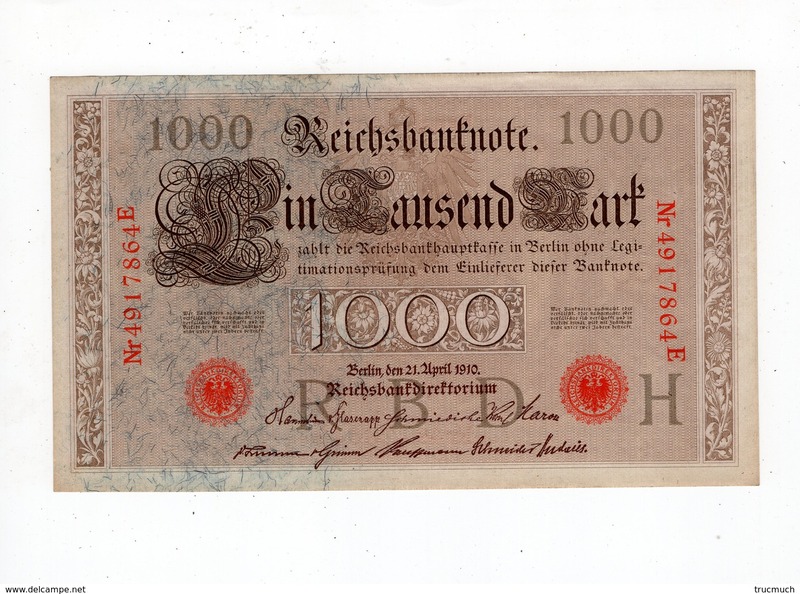 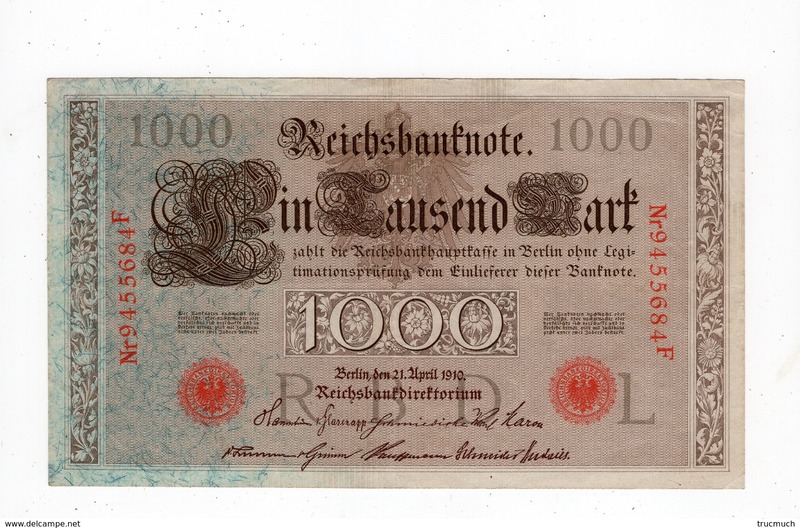 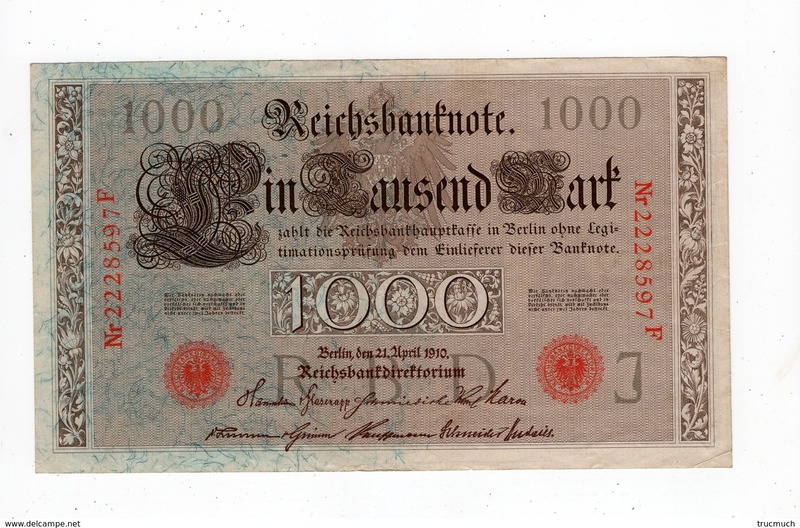 EINE Million Mark Berlin 1923 WK ( for Grade, please see photo ) ! 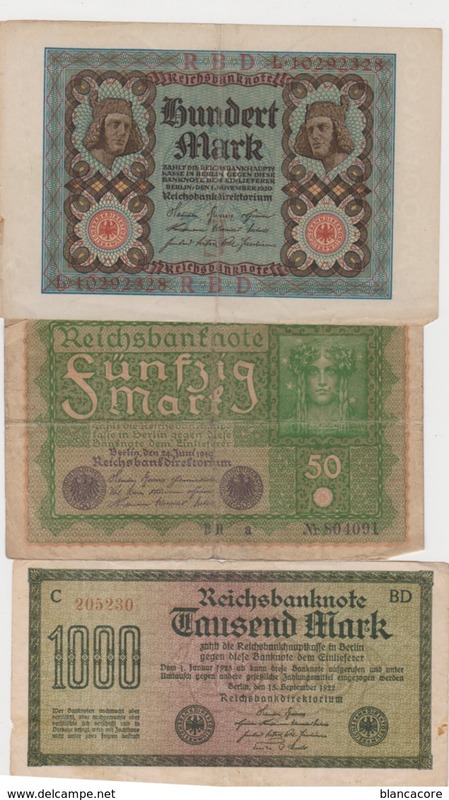 Darlehnskassenschein ZWEI Mark Berlin 1920 N° 15.382405 & 406 & 407 ( 3 Stuk / for Grade, please see photo ) ! 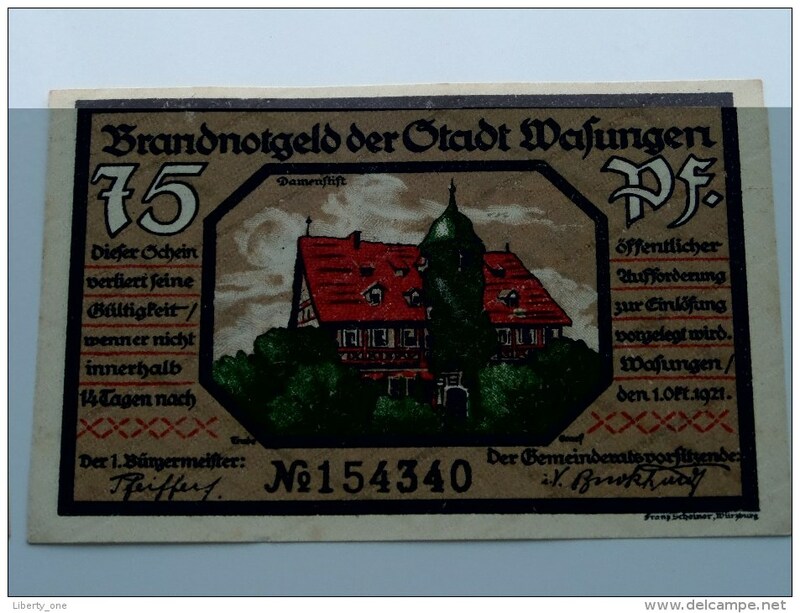 ZWANZIGTAUSEND MARK ( 3 ) Berlin 1922 M-CD 044464 / 044465 / 044466 ( RARE !!! 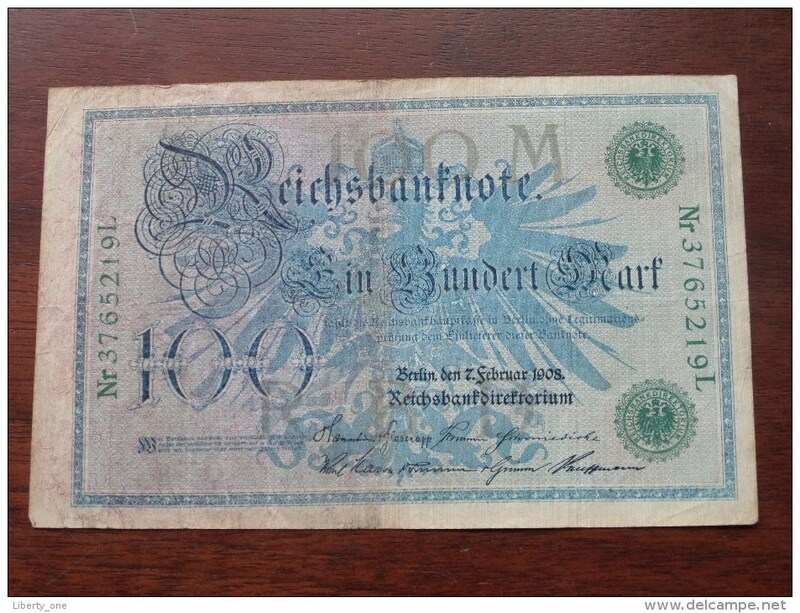 Scarce - for Grade, please see photo ) ! 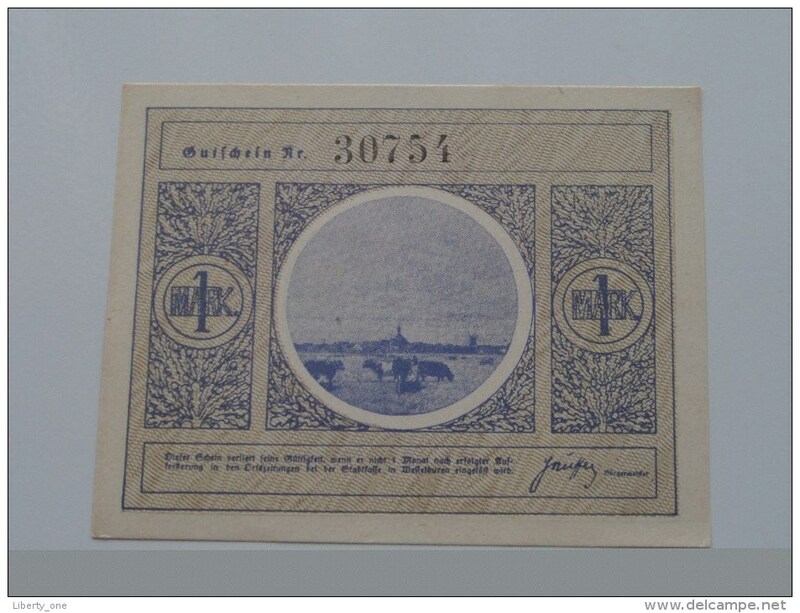 TAUSEND MARK Berlin 1922 / N° Q 265418 - BW ( for Grade, please see photo ) ! 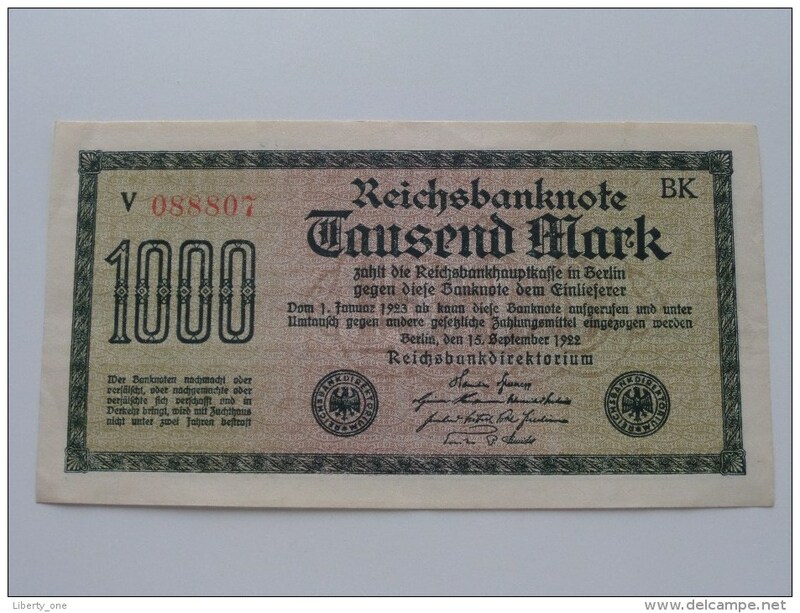 TAUSEND MARK Berlin 1922 / N° N 161034 - BD ( for Grade, please see photo ) ! 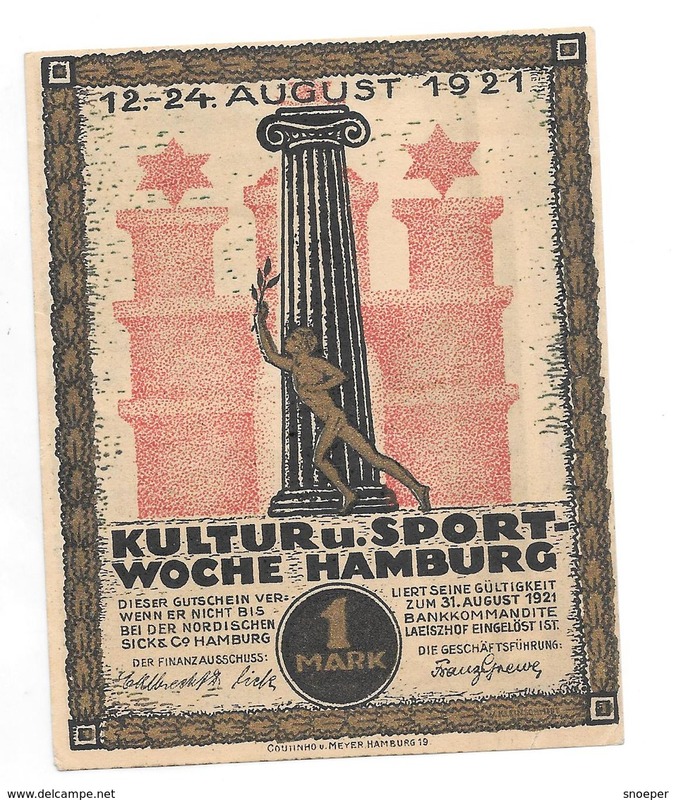 TAUSEND MARK Berlin 1922 / N° M 081941 - PG ( for Grade, please see photo ) ! 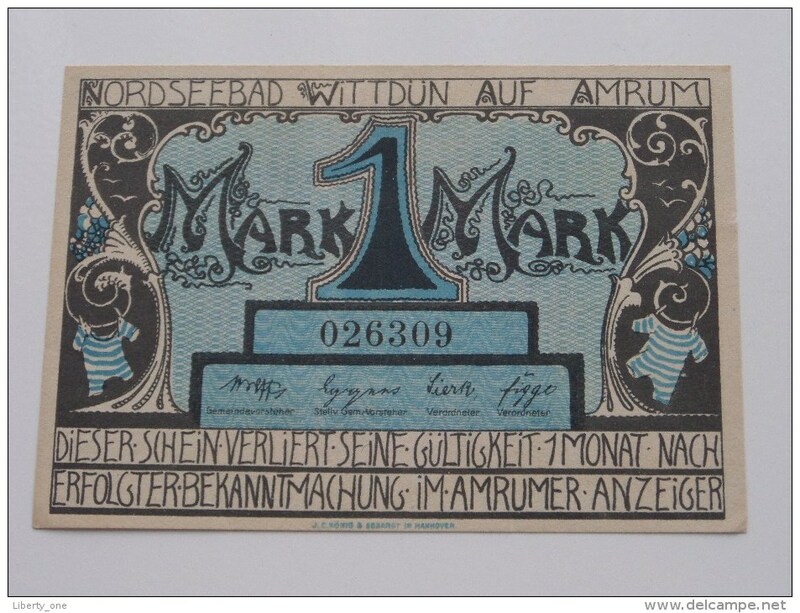 TAUSEND MARK Berlin 1922 / N° Re 269594 - VL ( for Grade, please see photo ) ! 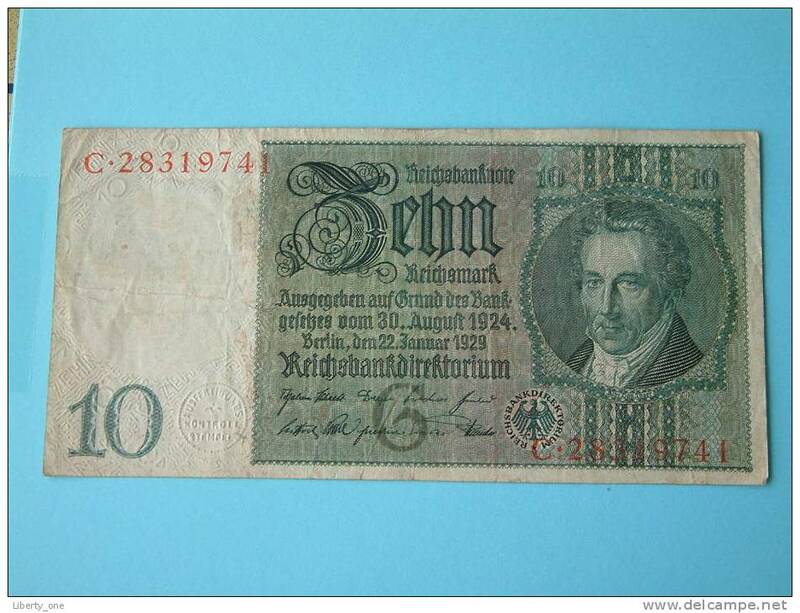 TAUSEND MARK Berlin 1922 / N° Ce 146868 - VL ( for Grade, please see photo ) ! 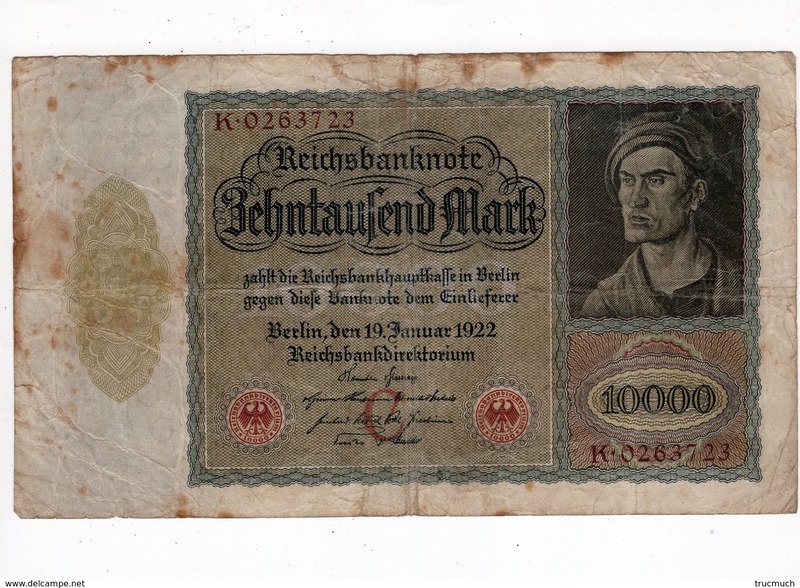 TAUSEND MARK Berlin 1922 / N° Ga 583042 - KH ( for Grade, please see photo ) ! 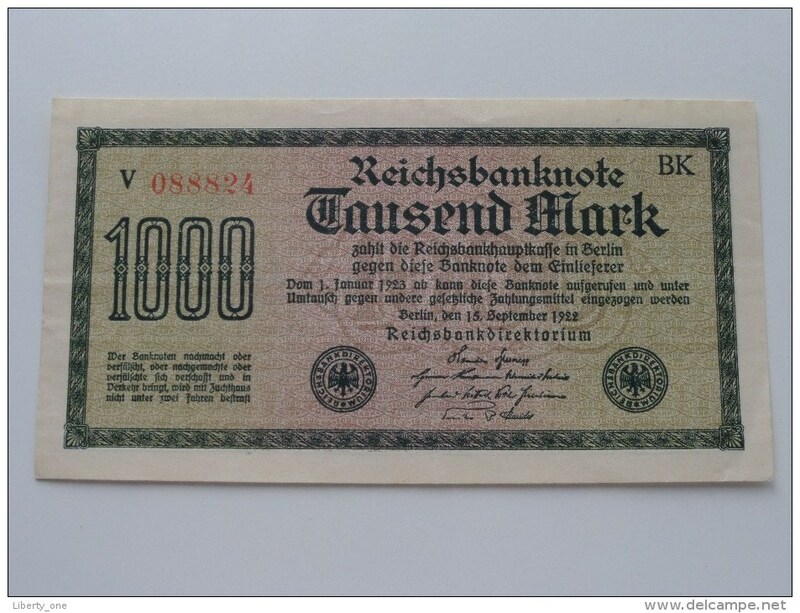 TAUSEND MARK Berlin 1922 / N° G 158413 - DV ( for Grade, please see photo ) ! 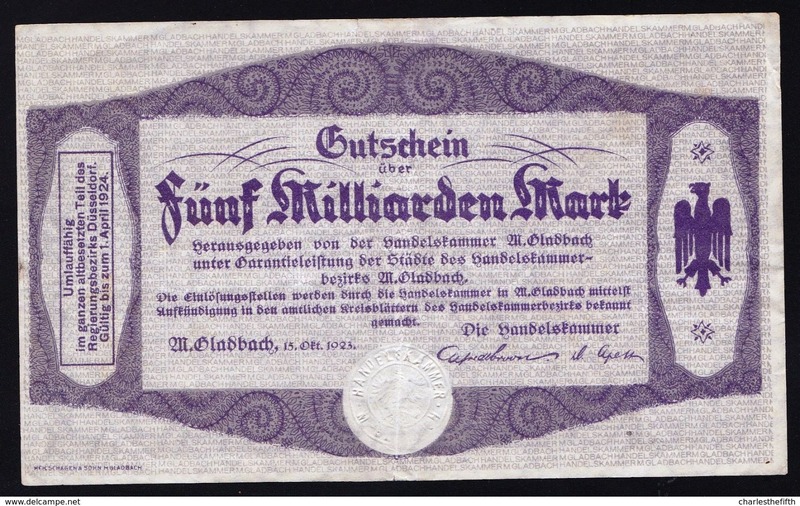 FÜNFTAUSEND MARK Berlin 1922 / Ta 390153 O ( for Grade, please see photo ) ! 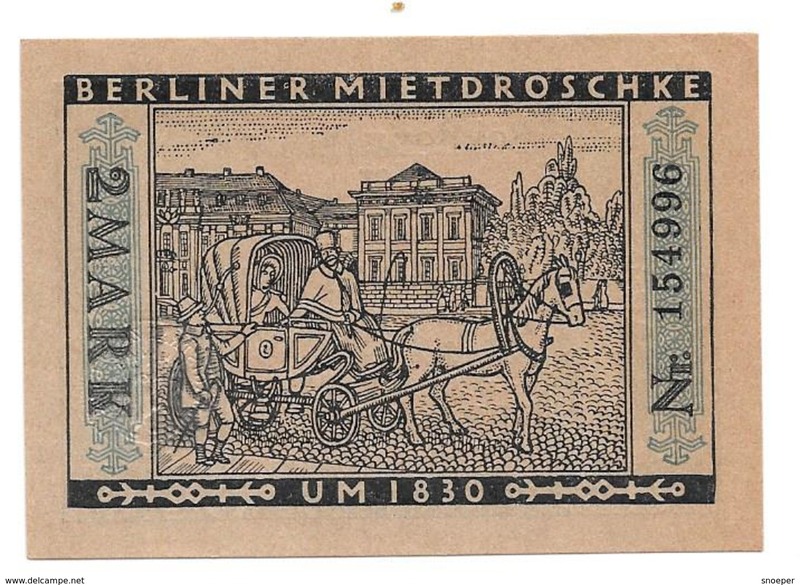 FÜNFTAUSEND MARK Berlin 1922 / N 352870 LE ( for Grade, please see photo ) ! 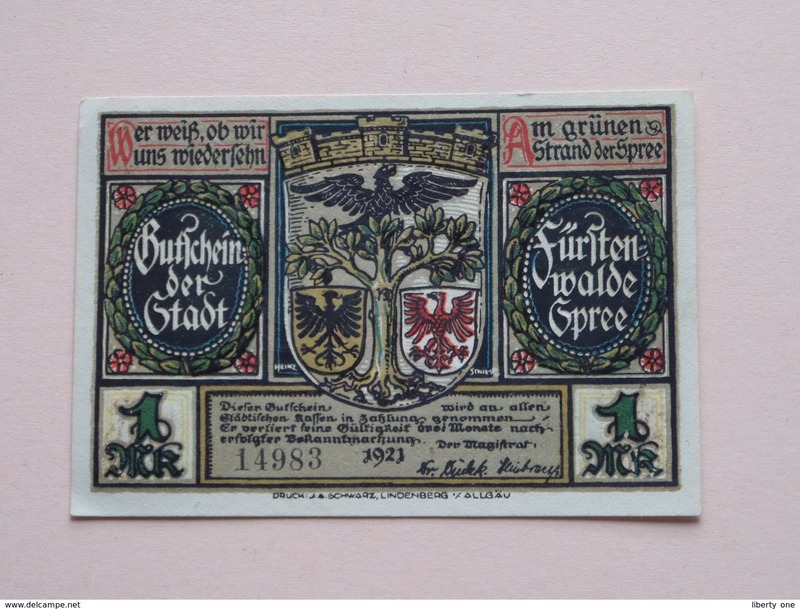 ZEHN REICHSMARK Berlin 1924 - 1929 / N° C 28319741 ( for Grade, please see photo ) ! 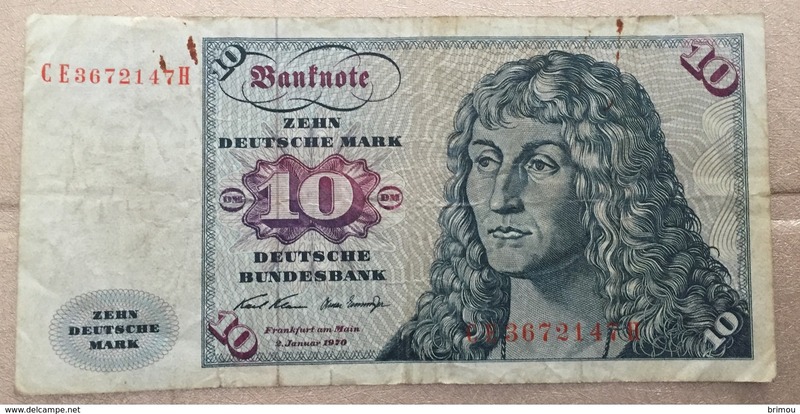 SELTEN ! 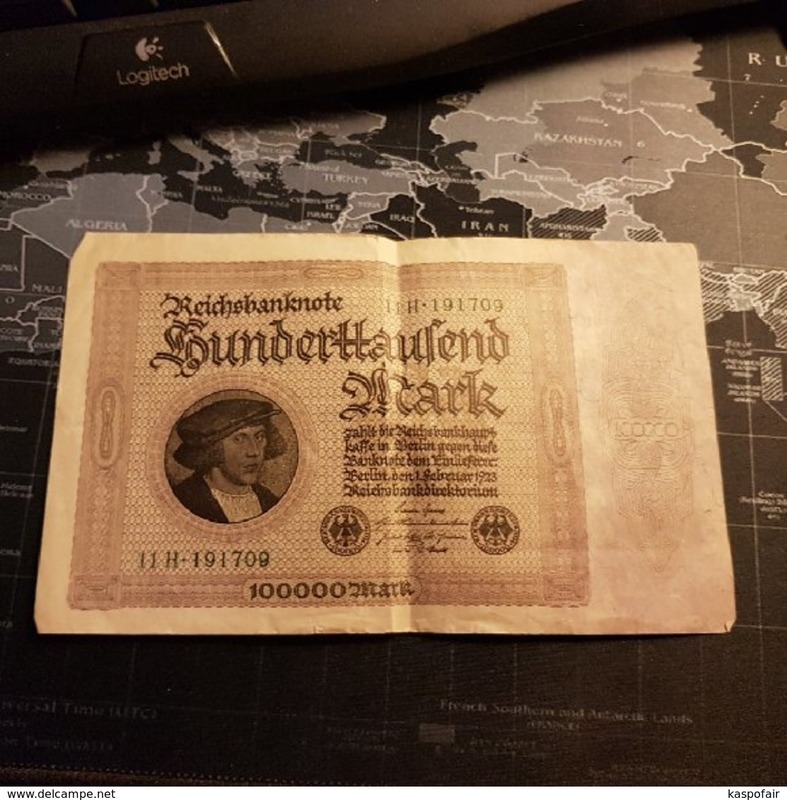 - GUTSCHEIN * FUNF MILLIARDEN MARK * - HANDELSKAMMER M. GLADBACH 15 OCT. 1923 - SCHÖN !